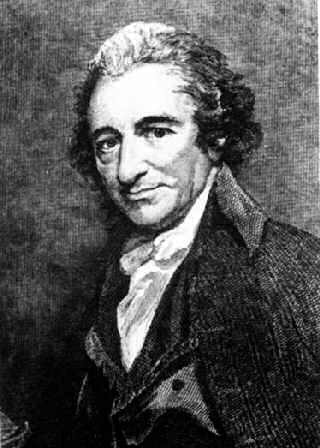 Publication of Agrarian Justice by Thomas Paine arguing that only structural improvements should be treated as individual property, not land. Birth of Henry George in Philadelphia, Pennsylvania. Publication of Principles of Political Economy with Some Applications to Social Philosophy by John Stuart Mill asserting that most appreciation in the value of land is an “unearned increment” caused by the development of society, not by the investment of landowners. Ebenezer Howard is born in London. Birth of Mohandas K. Gandhi. Ebenezer Howard emigrates with two friends to America at the age of 21, trying his hand at farming in Nebraska. 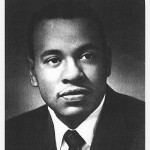 Arthur E. Morgan is born in Cincinnati, Ohio. Family soon moves to St. Cloud, Minnesota. Publication of Progress and Poverty by Henry George. Henry George delivers a series of public lectures in Ireland and England. Publication of Henry George’s Social Problems. 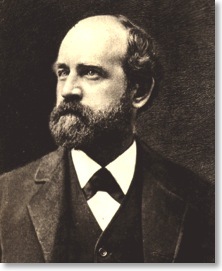 Henry George campaigns for mayor of New York City as the candidate of the United Labor Party. Publication of George’s Protection or Free Trade. Henry George brings his single tax message to Australia and New Zealand. Fairhope Single Tax Colony is founded in Alabama. Henry George is persuaded to run a second time for mayor of New York City, opposing Tammany Hall as a candidate of the city’s labor organizations. Four days before the election he dies of a stroke on October 29th. 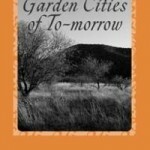 Publication of To-Morrow: A Peaceful Path to Real Reform by Ebenezer Howard later reissued as Garden Cities of Tomorrow. 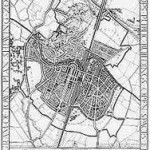 Ebenezer Howard founds the Garden Cities Association, today known as the Town and Country Planning Association. Single tax colony is founded in Arden, Delaware. Zionists influenced by Henry George establish the Jewish National Fund in Palestine. 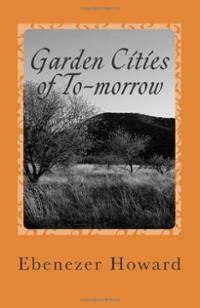 Ebenezer Howard’s 1898 book is revised and reissued under a new title, Garden Cities of To-Morrow. Founding of the first Garden City in England, Letchworth. In March, Barry Parker and Raymond Unwin are appointed consulting architects to oversee the design and development of Letchworth. Australian Parliament creates a special district for building the country’s new capital, Canberra, and dictates that land will be retained by the Commonwealth and leased, not sold. Ebenezer Howard moves into a limited equity housing cooperative in Letchworth, known as Homesgarth. 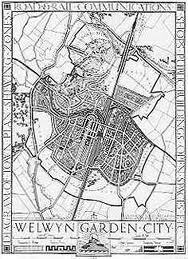 Founding of the second Garden City in England, Welwyn. 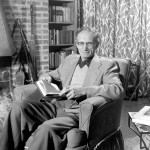 Arthur E. Morgan is appointed president of Antioch College in Yellow Springs, Ohio, a position he retains until 1936. Sunnyside Gardens is developed as a planned community on Garden City principles in Queens, New York. 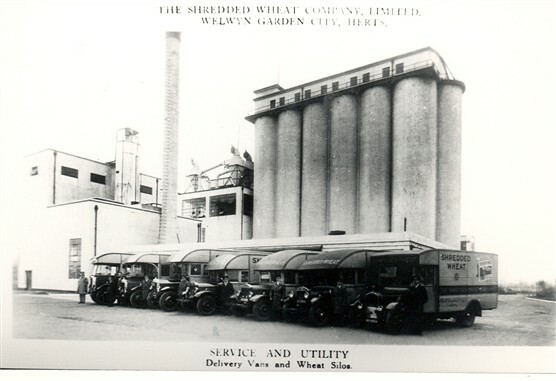 National Biscuit Company (Nabisco) production of shredded wheat at its new factory in Welwyn Garden City, employing 100 workers. 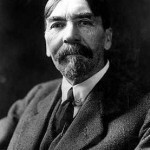 Establishment of the Robert Schalkenbach Foundation to promote public awareness of the social philosophy and economic reforms advocated by Henry George. Ebenezer Howard dies at the age of 78. The new town of Radburn, New Jersey is founded. Its planners – Clarence Stein, Henry Wright, and Marjorie Sewell Cautley – incorporate Garden City principles into Radburn’s design. Norris, Tennessee is developed by the Tennessee Valley Authority (TVA) to house workers building Norris Dam on the Clinch River. The city’s design – and its leasehold form of landownership – is based on Howard’s Garden Cities. Development begins on three new towns under the direction of Rexford Guy Tugwell, head of the U.S. Resettlement Administration. Designed along lines of the Garden Cities in England, three “greenbelt towns” are eventually built: Greendale, Wisconsin; Greenbelt, Maryland; and Greenhills, Ohio. Ralph Borsodi establishes a leased-land community and folk school in Suffern, New York which he names the School of Living. 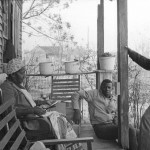 The National Sharecroppers Fund is created by the National Tenant Farmers Union to publicize the plight of sharecroppers and to push for legislation aiding agricultural workers. Arthur Morgan sends his son, Griscom, to western North Carolina to look for land. Using money from a Chicago philanthropist, he is able to purchase 1200 acres in a mountain valley 40 miles north of Ashville. 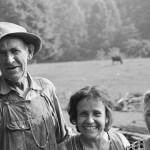 Celo is established by Arthur E. Morgan in western North Carolina, a leased-land community that eventually grows to 40 homesteads. Bryn Gweled, an intentional, leased-land residential community modeled on Ralph Borsodi’s School of Living, is established outside of Philadelphia, Pennsylvania. 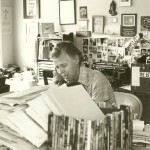 Community Service Inc. is established in Yellow Springs, Ohio by Arthur E. Morgan. Mildred and John Loomis establish Lane’s End Homestead at Brookville, Ohio modeled on the School of Living, where Mildred had worked for the previous two years. 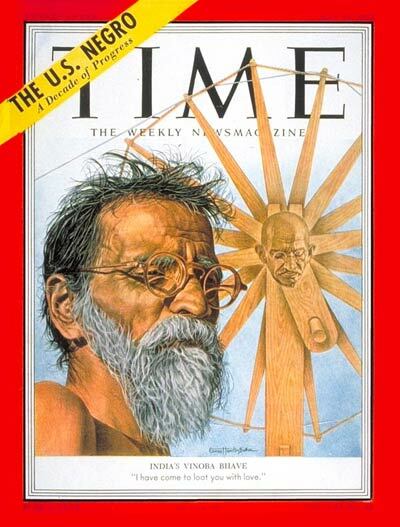 Vinoba Bhave is chosen by Gandhi to be the first individual Satyagrahi. Arthur Morgan founds two new nonprofits in Yellow Springs, Ohio: Community Service Inc. and the Fellowship for Intentional Community. 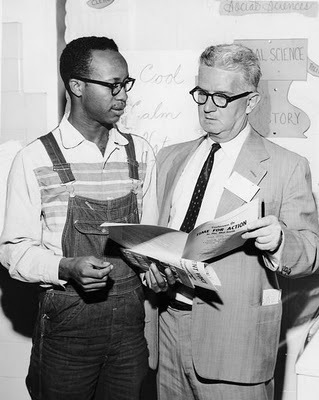 Bob Swann meets Bayard Rustin, Youth Secretary for the Fellowship of Reconciliation. 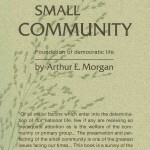 Publication of The Small Community by Arthur Morgan. 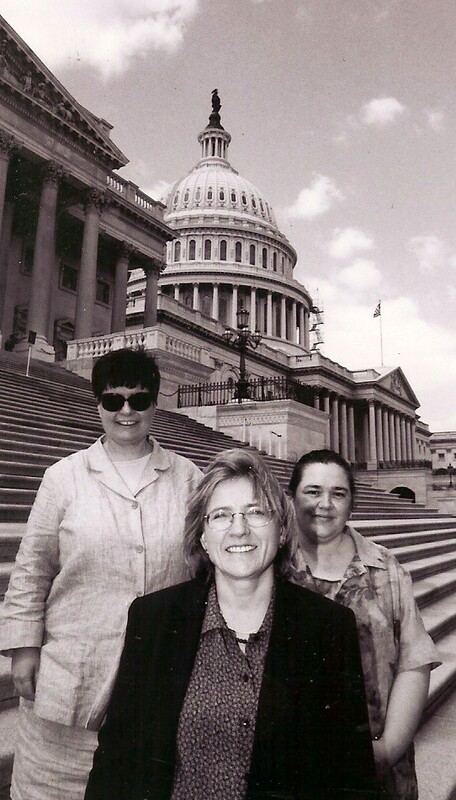 Six members of the Fellowship of Reconciliation organize the Committee on Racial Equality in Chicago which becomes the Congress of Racial Equality (CORE). 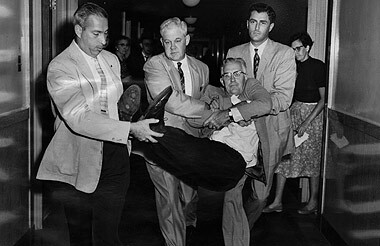 Bob Swann and other Conscientious Objectors, including Bayard Rustin, are imprisoned in Ashland, Kentucky for refusing to register for the draft. Clarence & Florence Jordan and Martin & Mabel England purchase 440 acres of rural land in southwest Georgia, laying the foundation for Koinonia Farm. 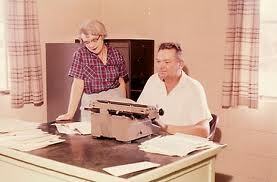 Bob Swann takes a correspondence course offered by Community Service Inc. 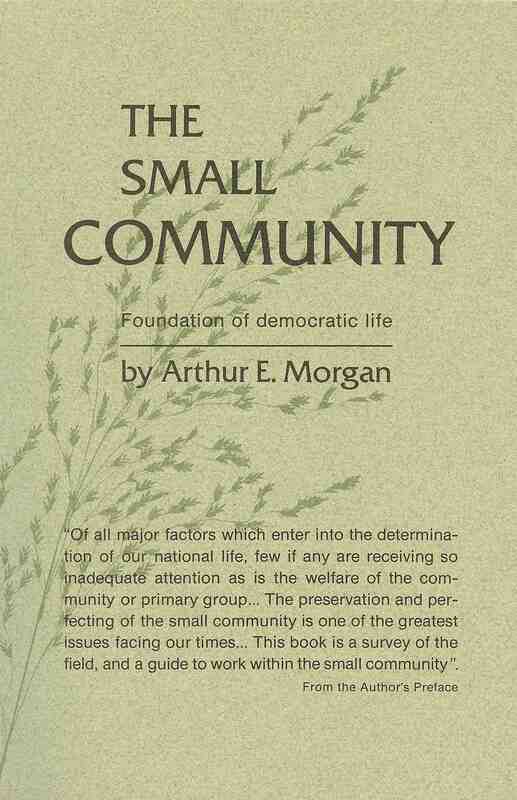 The course’s main text is Arthur Morgan’s The Small Community. While still in prison, Swann begins corresponding with Morgan, seeking future employment at Community Service Inc.
Bob Swann is released from prison on three years’ parole. Moving to Washington DC, he meets Marjorie Shafer who is working for the Committee for Conscientious Objectors. They marry a year later. 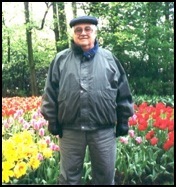 Ralph Borsodi moves the School of Living’s programs and library to the Loomis farm outside of Dayton, Ohio, when he is forced to sell the land in Suffern, New York. 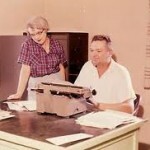 Borsodi and Mildred Loomis begin publishing a School of Living newsletter, later named Green Revolution, which helps to spread Borsodi’s and Loomis’s ideas about decentralism. 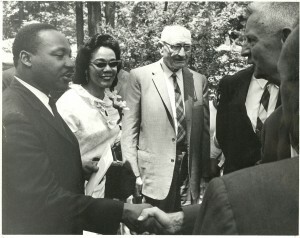 Coretta Scott enrolls at Antioch College in Yellow Springs, Ohio. During her two years at Antioch, before transferring to the New England Conservatory of Music, she joins the NAACP and the College’s Race Relations and Civil Rights Committee. Slater King graduates from Fisk University in Nashville, Tennessee with a B.A. in economics. Bob Swann accepts a job at Community Service Inc. and moves his family to Yellow Springs, Ohio. 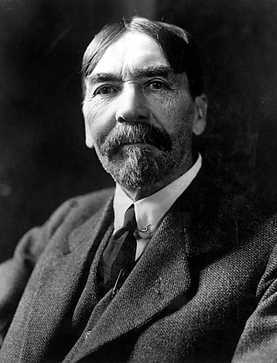 John C. Lincoln, a Cleveland industrialist, establishes the Lincoln Foundation to support research, publication, and teaching about the work of Henry George. 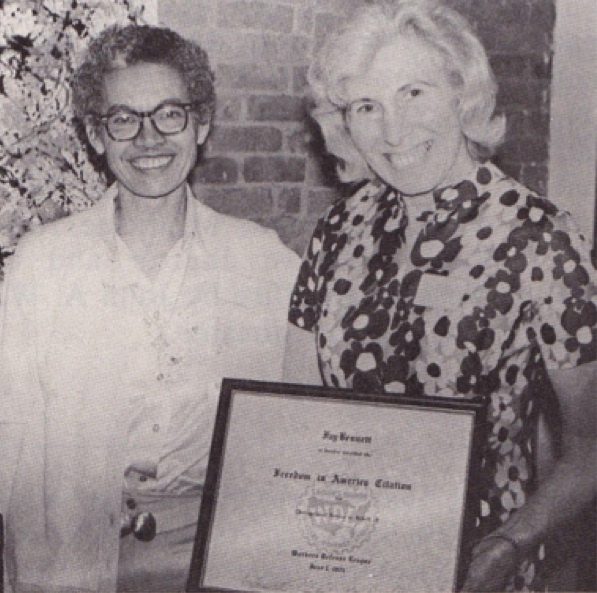 Marjorie Swann becomes friends with Coretta Scott, an undergraduate at Antioch College, through a CORE-affiliated organization in Yellow Springs. 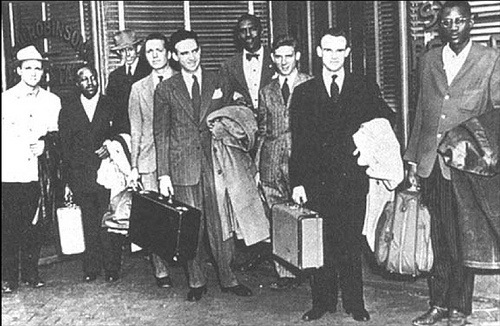 Bayard Rustin, Wally Nelson, and Ernest Bromley join a group of 8 white men and 8 black men bussing through Virginia, North Carolina, Tennessee, and Kentucky to challenge segregation in interstate travel. 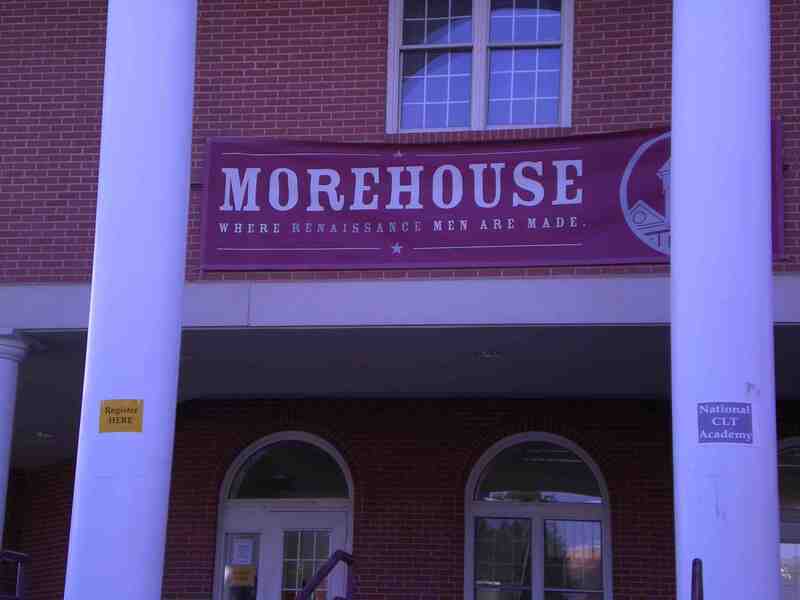 This “Journey of Reconciliation” was to become the model for the Freedom Rides sponsored by CORE and SNCC in 1961. British rule comes to an end in India. The country is immediately partitioned into India and Pakistan. Mahatma Gandhi is assassinated in India. 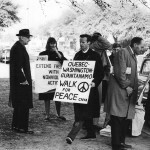 Peacemakers is founded in Gano, Ohio, near Cincinnati, by Ernest and Marion Bromley, Juanita and Wally Nelson, Bayard Rustin, A.J. Muste, Dwight Macdonald, Ralph T. Templin, Roy Kepler, Cecil Hinshaw, Milton Mayer and Horace Champney. An act of the U.S. Congress forces Norris, Tennessee to be sold by TVA at public auction. It is purchased for $2.1 million by a Philadelphia investment group, which then sells off individual freeholds and homes to their residents. Clarence Jordan’s family and other Koinonians are excommunicated from the Rehobeth Southern Baptist Church because of their publicly declared views on racial equality. Peacemakers hold their first national conference at the church of Rev. 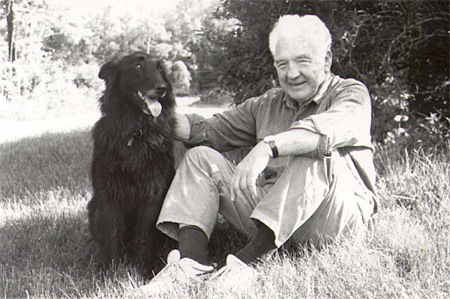 Maurice McCrackin in the West End neighborhood of Cincinnati. 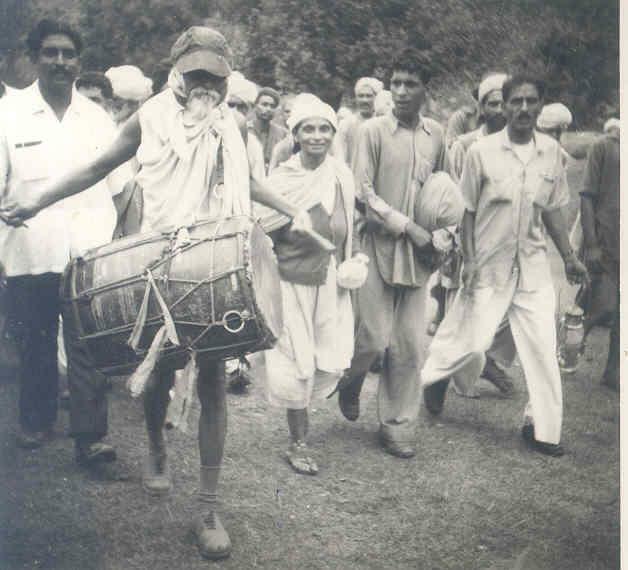 Vinoba Bhave, the “Walking Saint of India,” persuades rich landowners to donate parcels of land to the rural poor, launching the “Land Gift” (Boodan) movement. Fay Bennett joins the staff of the National Sharecroppers Fund and soon becomes its chief executive, a position she holds for the next 18 years. The first Gramdan Village is created in India. 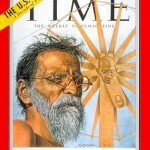 Vinoba Bhave appears on the cover of May 11th issue of TIME Magazine. Martin Luther King weds Coretta Scott on June 18th . 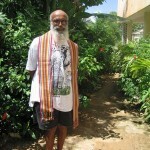 Vinoba Bhave converts the “Land Gift” Movement into the “Village Gift” (Gramdan) Movement, conveying donated land to village trusts that are managed for the benefit of impoverished farmers. Eventually 160,000 Gramdan villages are established throughout India. Rosa Parks is arrested in Montgomery, Alabama after refusing to move to the back of a city bus, sparking a year-long campaign against segregation in the city’s public transportation. 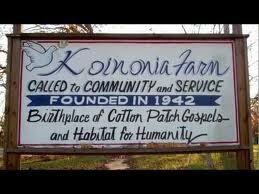 A boycott begins of Koinonia Farm by white-owned businesses, continuing until the middle of the 1960s. 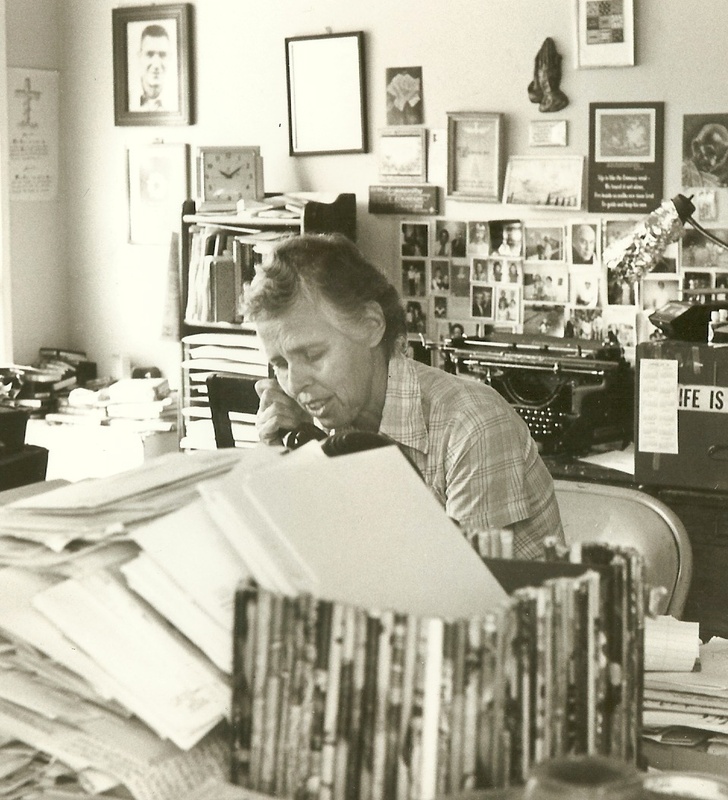 Wally Nelson and Rev. Maurice McCrackin, two members of the Peacemakers group in Cincinnati, visit the beleaguered Koinonia Farm to offer support. 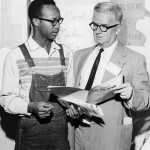 Koinonia’s 1956 interracial summer camp at Koinonia is blocked by a Georgia judge. Miles Horton’s son invites the camp to the Highlander Folk School in Monteagle, Tennessee. Slater King marries Marion Townsend, after his ten-year marriage to Valencia Laverne ends in divorce. Morris Milgram persuades Bob Swann to move to Philadelphia to supervise construction of Concord Park, an interracial housing development. The Swanns visit frequently at Bryn Gweled, located nearby. 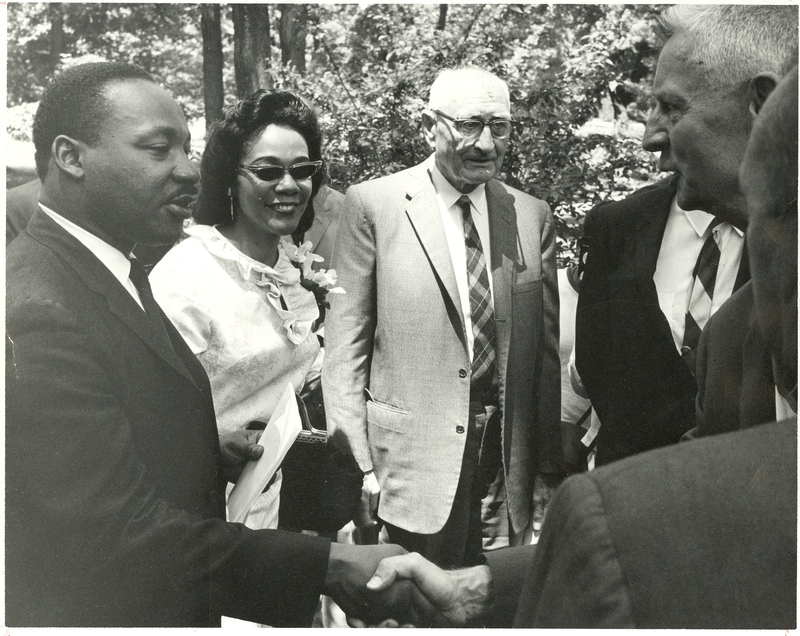 The Southern Christian Leadership Conference is founded by Martin Luther King, Charles K. Steele, and Fred L. Shuttlesworth. 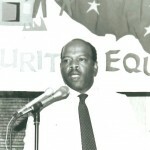 King is appointed SCLC’s first president. 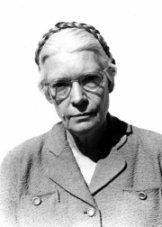 Dorothy Day visits Koinonia Farm for two weeks in May, followed by Wally and Juanita Nelson, who stay at Koinonia for four months. Gunfire mars both visits. C.B. 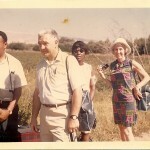 King, Slater King, and their wives, Carol and Marion, begin visiting Koinonia Farm for weekend dinners. 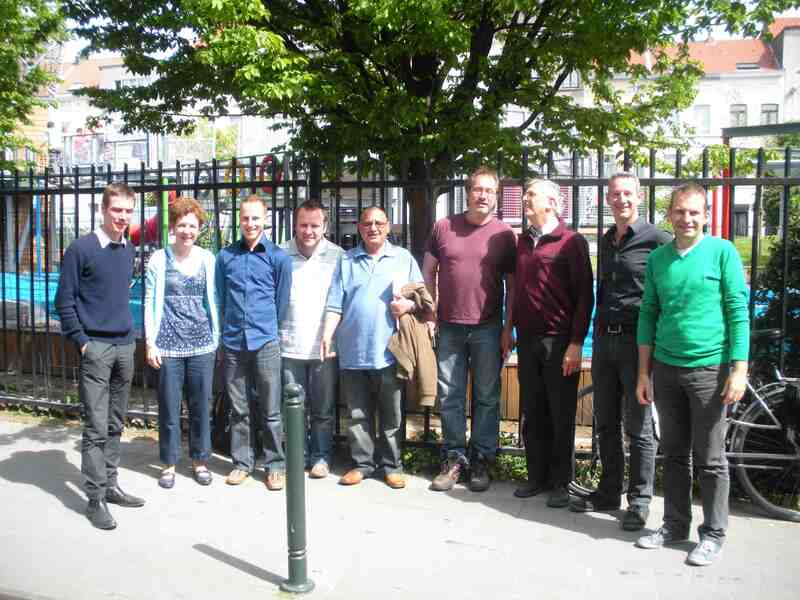 The Committee for Non-Violent Action (CNVA) is formed. When Clarence Jordan attends one of CNVA’s early organizational meetings, he and Bob Swann meet for the first time. Friends of Koinonia is established to provide national support in the face of the continuing boycott of Koinonia’s products by local businesses. At the Highlander Folk School’s 25th Anniversary, Martin Luther King is the guest speaker. Rev. Maurice McCrackin and Conrad Brown from Koinonia are in attendance. Rev. 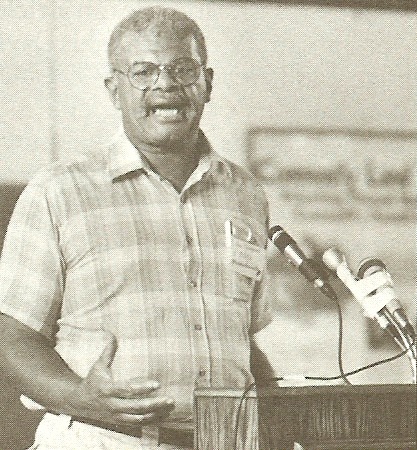 Maurice McCrackin invites Clarence Jordon to Cincinnati to tell the story of Koinonia Farm to his congregation in the West End. 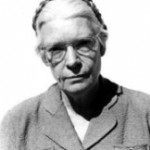 Dorothy Swisshelm, a member of McCrackin’s church, moves to Georgia and joins Koinonia later that year. On January 31st, Maurice McCrackin begins serving a sentence in Allenwood Federal Prison Farm for tax resistance. 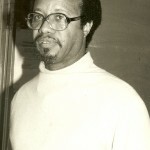 He receives a letter of support from Clarence Jordan. Marjorie Swann is sentenced to six months in federal prison for civil disobedience at a nuclear weapons site near Omaha, Nebraska. She and her family take a six-week trip through the South after her release, visiting Celo Community and Koinonia Farm. Four African American students from North Carolina Agricultural and Technical College stage a sit-in at a segregated Woolworth’s lunch counter in Greensboro. 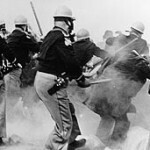 The event triggers similar nonviolent protests throughout the South. 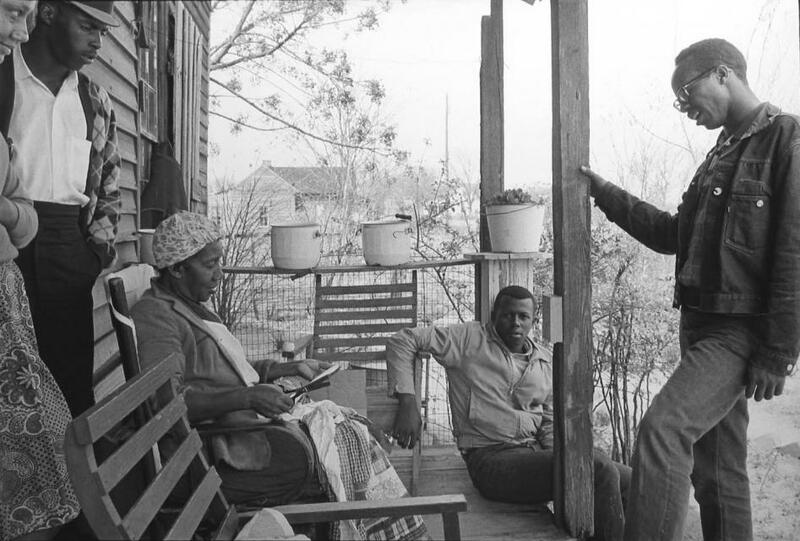 The Student Nonviolent Coordinating Committee (SNCC) is founded during a conference at Shaw University in North Carolina, organized by Ella Baker. 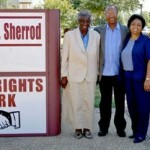 Marian Berry becomes SNCC’s first chairman. 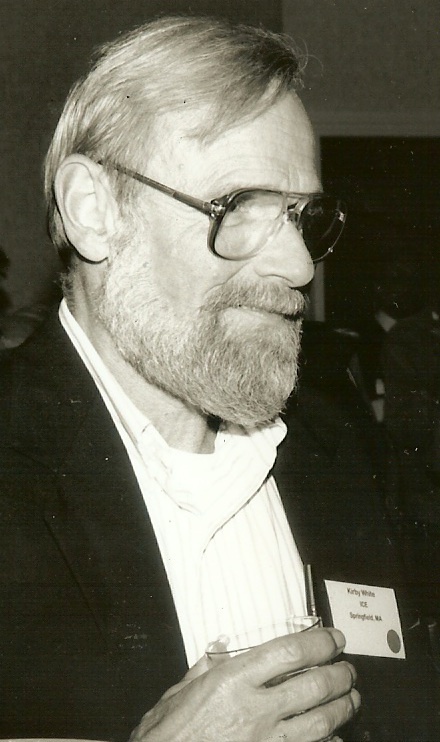 Bob and Marjorie Swann move to Voluntown, Connecticut, working full time as leaders and organizers for the Committee for Non-Violent Action (CNVA). Bayard Rustin and George Willougby, the national director for CNVA, travel to Calcutta to meet Vinoba Bhave. They spend several days with him, trekking from village to village. 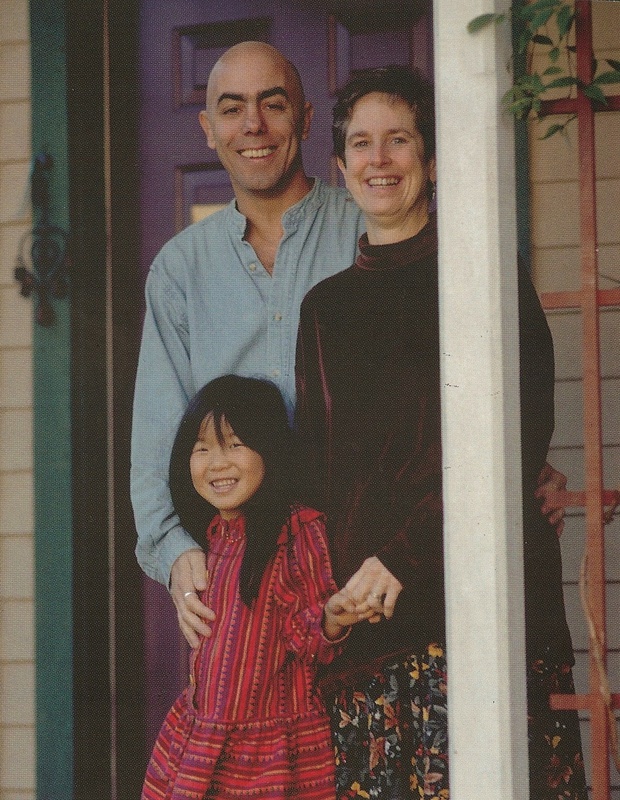 The Vale, an intentional community started in Yellow Springs by Griscom and Jane Morgan, is incorporated. 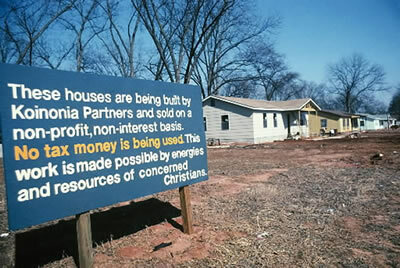 In 1980, the land underlying the homes at The Vale is donated to the Community Service Inc. Land Trust. 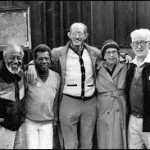 In December, Bayard Rustin and George Willougby, national director for the Committee on Non-Violent Action, travel together to Calcutta to meet Vinoba Bhave. They spend several days with him, trekking from village to village. 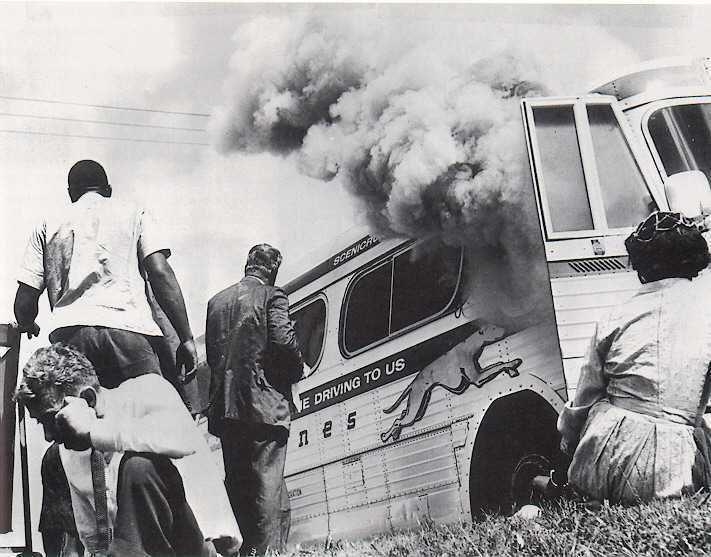 “Freedom Riders,” recruited by CORE and SNCC, begin bussing throughout the South to test new laws that prohibit segregation in interstate travel, including bus and railway stations. 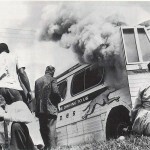 Over 400 individuals participate in 63 separate Freedom Rides from May to December. 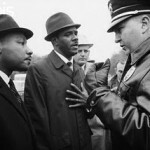 Operation Freedom is formed by members of Peacemakers and leaders of the Civil Rights Movement. 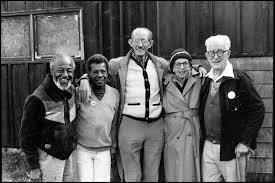 Included on its board are Maurice McCrackin, Ella Baker, Anne and Carl Braden, Ernest Bromley, Wally Nelson, Myles Horton, Clarence Jordan, and Conrad Brown. 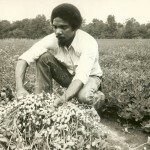 Charles Sherrod becomes SNCC’s first field secretary, moving to Albany, Georgia at the age of 23. He is joined by another SNCC organizer, 18-year-old Cordell Reagon. 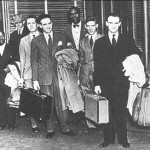 Recruited and trained by Sherrod and Reagon, college students from Albany State launch a sit-in at the Albany bus terminal in November, testing the recently enacted law desegregating bus and train terminals. 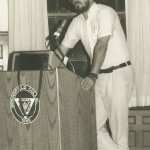 Ralph Borsodi accepts a job teaching economics at a university in India. 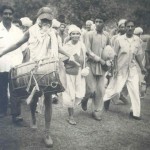 He is exposed to – and enormously impressed by – the Gramdan Movement, which reaches its height during Borsodi’s time in India. Bob Swann travels to Mississippi to supervise interracial crews who are rebuilding black churches that have been firebombed by racists. 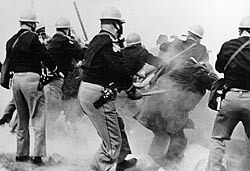 Martin Luther King is jailed during protests in Birmingham, Alabama. 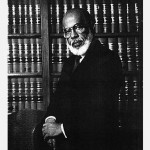 He writes his seminal “Letter from Birmingham Jail” arguing that individuals have a moral duty to disobey unjust laws. Mississippi’s NAACP field secretary, 37-year-old Medgar Evers, is murdered on June 12th outside his home in Jackson. 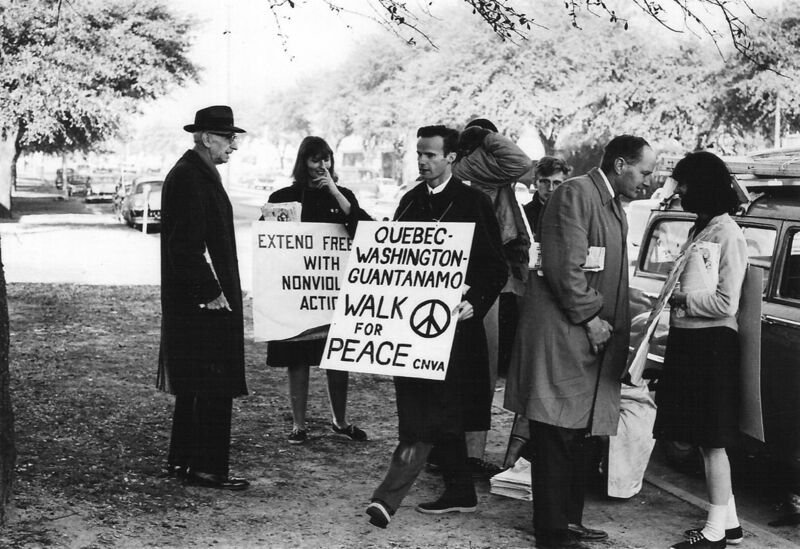 The Quebec-to-Guantanamo Peace Walk, organized by Bob Swann and his colleagues at the Committee for Non-Violent Action, reaches Albany, Georgia in December. When the marchers attempt to parade through the downtown, they are arrested by Chief Laurie Pritchett. Quebec-to-Guantanamo peace marchers remain in the Albany jail through February. They are represented by C.B. King. On July 2nd, President Johnson signs the Civil Rights Act of 1964, the most sweeping civil rights legislation since Reconstruction. The Act prohibits discrimination based on race, color, religion, or national origin. On August 4th, the bodies of three civil-rights workers—two white, one black—are found in an earthen dam in Neshoba County, Mississippi. 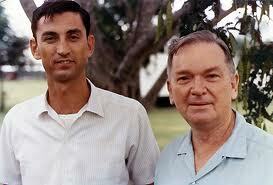 The murdered trio, Michael Schwerner, Andrew Goodman, and James E. Chaney, had been working to register black voters. 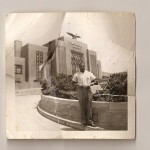 Charles Sherrod travels to Atlantic City in August, the site of the Democratic National Convention. He and other SNCC leaders urge the Convention to support the petition of the Mississippi Freedom Democratic Party to seat more African Americans at the convention. C.B. King is unsuccessful in his bid for election to the U.S. House of Representatives, the first African American to run for Congress in Georgia since Reconstruction. 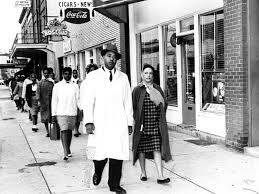 Leaders of the SCLC and SNCC, including Martin Luther King and John Lewis, begin a 54-mile march from Selma to Montgomery in support of voting rights. 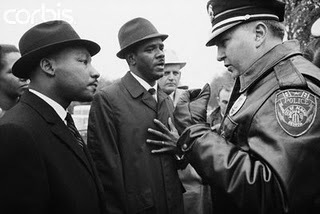 The marchers are stopped at the Pettus Bridge in Selma by a police blockade on March 7th. Fifty marchers are hospitalized after police use tear gas, whips, and clubs against them, an incident that is dubbed “Bloody Sunday” by the media. Bob Swann takes five youngsters to visit the Highlander Center and Koinonia Farm. City of Albany to hold overdue civil rights hearings and to alleviate discrimination and poverty. Charles Sherrod meets Shirley Miller during a voter registration meeting in Baker County. This is four months after the murder of Shirley’s father. Ralph Bosodi returns to the United States after four years working in India. A mutual friend, F. Porter Sargent, introduces Borsodi to Bob Swann. 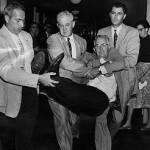 Chuck Matthei graduates from high school in June and immediately heads for Cincinnati, meeting the Bromleys, Nelsons, and Maurice McCrackin for the first time. 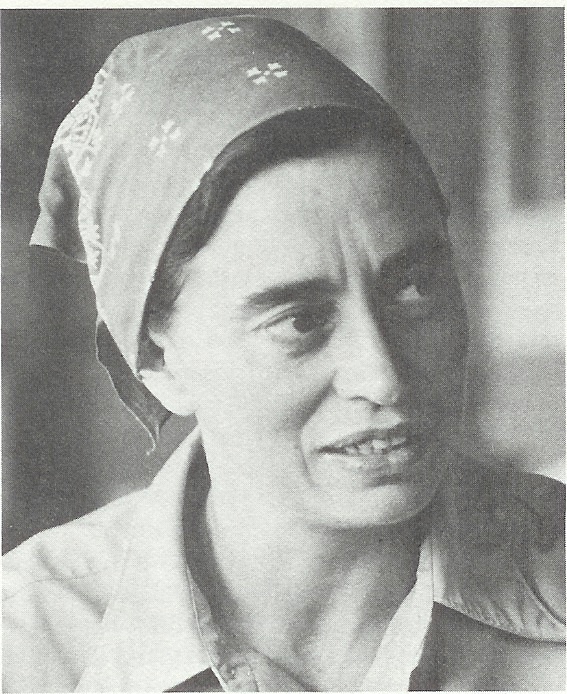 Ralph Borsodi and Bob Swann organize a conference on “Plans for the International Independence Institute.” Attending the conference is Fay Bennett, executive secretary of the National Sharecroppers Fund. 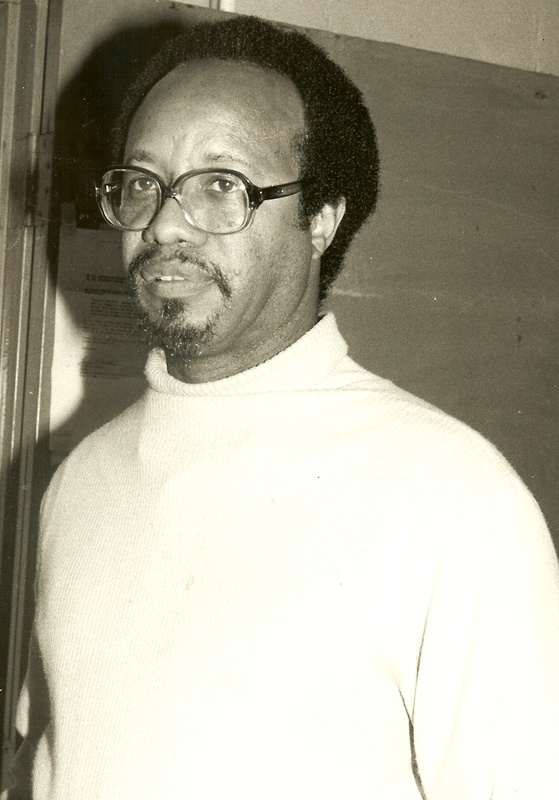 Disagreeing with Stokely Carmichael’s policy of expelling whites from SNCC, Charles Sherrod resigns. 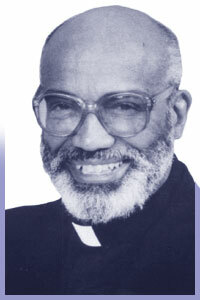 He enrolls in Union Theological Seminary, from which he receives a Doctor of Divinity degree. 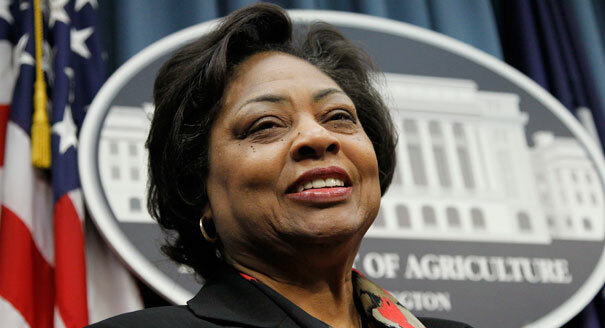 The US Commission on Civil Rights sounds the alarm about discrimination by USDA, warning there will be virtually no black-owned farms by 2000 unless something is done. Borsodi and Swann travel to Luxembourg in October to found the International Foundation for Independence. Continuing on to London, they meet E.F. Schumacher. 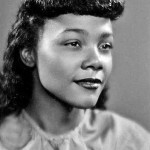 Commencement at Antioch College, where Coretta Scott King receives the undergraduate degree she failed to receive in the 1940s because of the lack of an integrated public school that would allow her to do the required student teaching. Joining her at the ceremony is her husband, Martin, and the President Emeritus of Antioch College, Arthur E. Morgan. 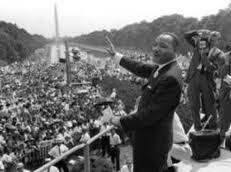 Martin Luther King is assassinated in Memphis, Tennessee on April 4th. President Johnson signs the Civil Rights Act of 1968 on April 11th, prohibiting discrimination in the sale, rental, and financing of housing. 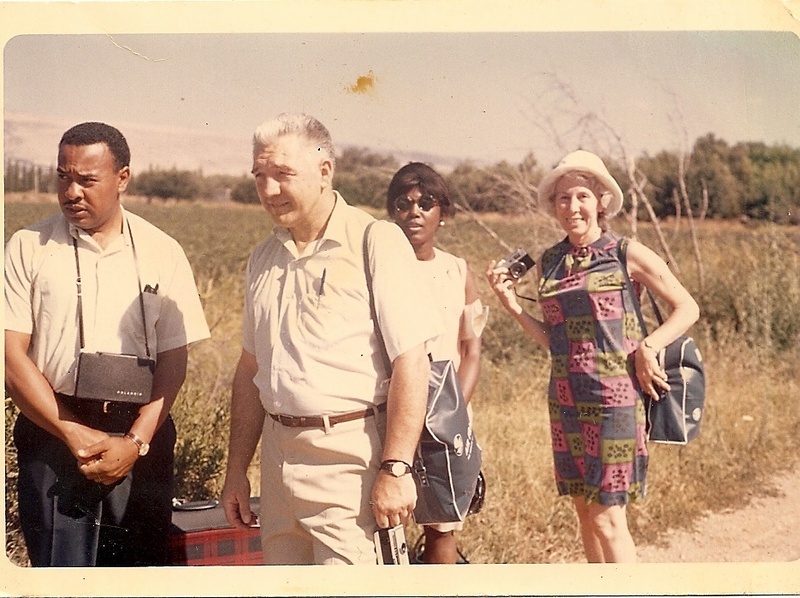 Slater King, Marion King, Charles Sherrod, Fay Bennett, Bob Swann, Leonard Smith, Lewis Black, and Albert Turner travel to Israel in June, a trip funded by the Norman Foundation and the National Sharecroppers Fund. On their return, they convene a meeting in Atlanta of representatives from a dozen civil rights organization, encouraging the creation in the American South of something like the moshav model they had encountered in Israel. Clarence Jordan and Millard Fuller convene a gathering in August of fifteen trusted advisers to explore a new direction for Koinonia. Bob Swann and Slater King are in attendance. 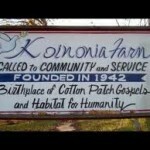 Out of this meeting, Koinonia decides to create Partnership Housing, a precursor to Habitat for Humanity. 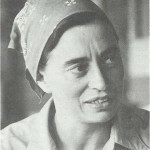 In September, a planning committee meets in Atlanta for the first time to discuss the structure and function of a “new model of land tenure,” beginning a year-long process of drafting a blueprint for New Communities Inc.
Borsodi’s Seventeen Universal Problems of Man and Society is published in India. 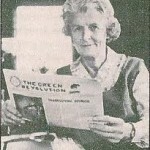 It is later reprinted in Green Revolution, the journal of the School of Living. Koinonia Farm establishes the Fund for Humanity, a nonprofit vehicle for holding land and money on behalf of enterprises supported by Koinonia Partners. The following year, title to lands at Koinonia Farm is conveyed to the Fund for Humanity. Death of Clarence Jordan in October, struck down by a heart attack at the age of 57. 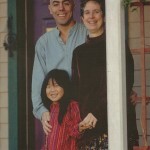 Incorporation of Church Community Housing in Newport, Rhode Island. 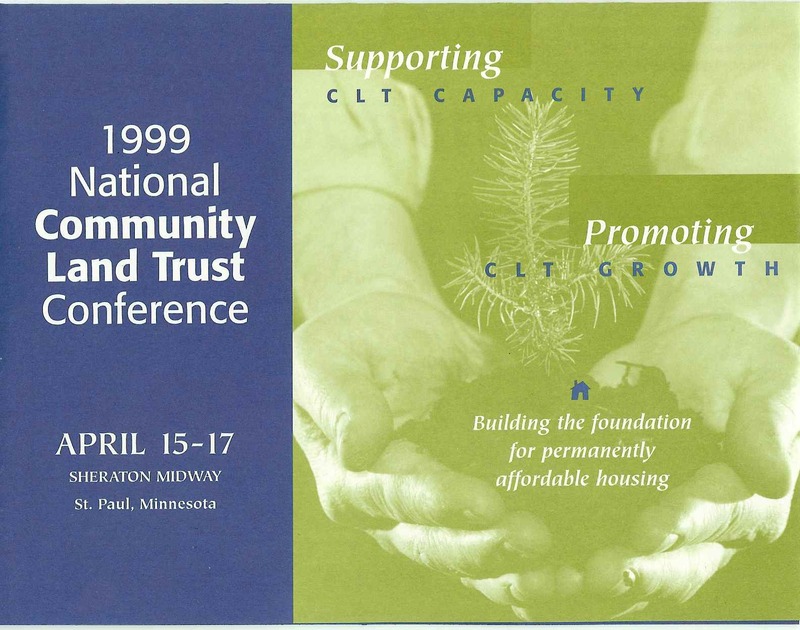 Years later, in the 1980s, CCH adds a community land trust to its mix of programs and begins developing resale-restricted homes on leased land. New Communities Inc. purchases over 5600 acres of land near Leesburg, Georgia, the largest tract of land owned by African Americas in the United States at the time. Mtamanika Youngblood comes to NCI for the first time as a summer volunteer. Arthur Morgan retires from Community Service, Inc. His son, Griscom Morgan, becomes CSI’s new executive director. The International Independence Institute moves to Ashby, Massachusetts. The Institute’s staff now includes Bob Swann, Erick Hansch, Ted Webster, and Shimon Gottschalk. After finishing her final year in college at NYU, Mtamanika Youngblood moves to Albany and opens an African boutique named the Harambe Shop, while volunteering at New Communities and the Southwest Georgia Project. 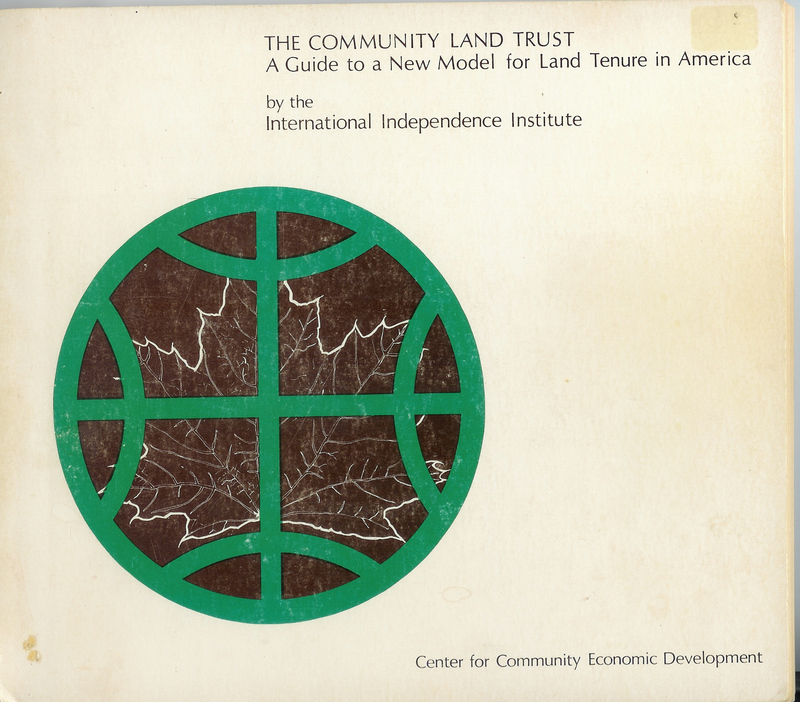 The International Independence Institute’s four-person staff, with editorial assistance from Marjorie Swann, produces The Community Land Trust: A Guide to a New Model for Land Tenure in America. They re-locate the organization’s offices to Cambridge Massachusetts and change III’s name to the Institute for Community Economics. Terry Mollner joins ICE’s staff later that year. 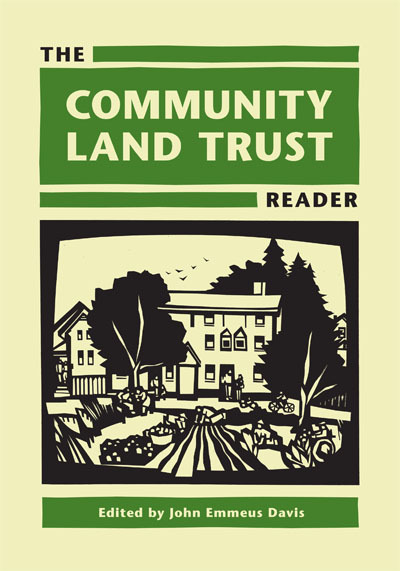 Founding of the Sam Ely Community Land Trust, a statewide organization to promote CLT development in Maine. 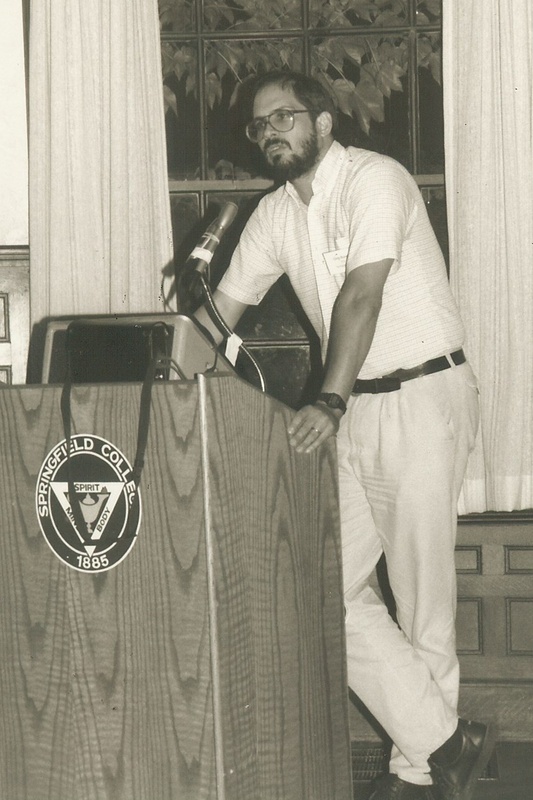 Sam Ely begins publication of a widely distributed newspaper, the Maine Land Advocate. Mtamanika Youngblood is hired to work full time at New Communities as the marketing specialist, selling produce and livestock raised on the farm. Erick Hansch moves west after six years at the International Independence Institute and helps to organize the Northern California CLT. Bob Swann is invited to visit East Tennessee by a group of Glenmary Home Sisters, one of whom is Marie Cirillo. The first National Conference on Land Reform is held in San Francisco. Bob Swann delivers a paper on “The Community Land Trust,” differentiating CLTs from conservation land trusts. 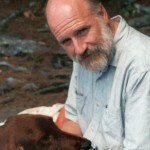 Earthbridge Community Land Trust is established in Putney, Vermont. Among the founders is a local Quaker, Christel Holzer, whose 42 acres become ECLT’s first holdings. 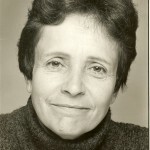 In 1992, she becomes the first shareholder in the first housing cooperative developed by the Burlington CLT. 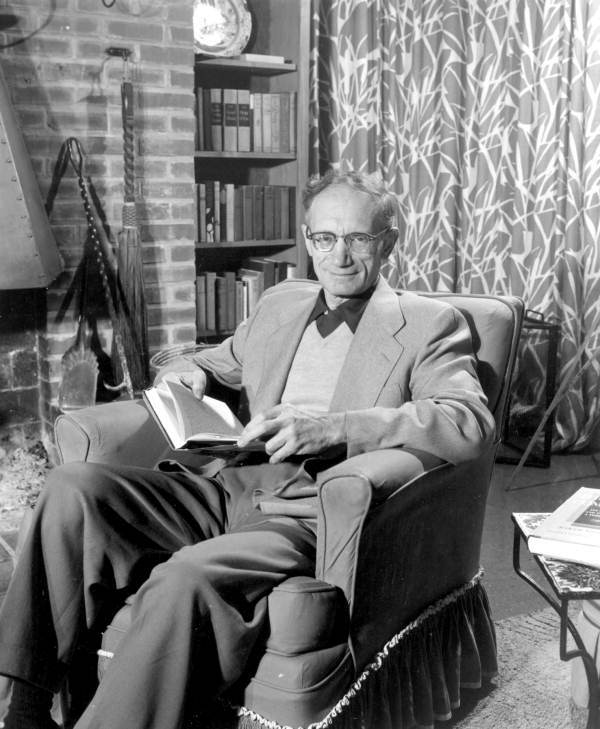 The Institute for Community Economics sponsors the first major speaking tour in the United States for E.F. Schumacher, soon after publication of his best-known book, Small Is Beautiful. Death of Arthur Morgan at the age of 97. 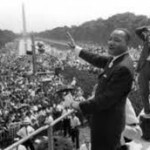 Chuck Matthei joins Mitch Snyder, Perk Perkins, and other members of the Center for Creative Nonviolence and Sojourners in attempting (unsuccessfully) to establish an urban CLT in Washington, DC, the Columbia Heights Community Ownership Project. 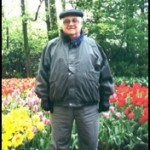 Death of Ralph Borsodi at the age of 91; E.F. Scumacher and Erick Hansch die the same year, all three within one month of one another. Susan Witt joins the staff of the Institute for Community Economics as a volunteer. Incorporation of the Valley CLT in Greenfield, Massachusetts, the state’s first CLT. Two of the first leaseholders are Wally and Juanita Nelson, early members of Peacemakers and close friends of CLT Hall of Famers Maurice McCrackin, Clarence Jordan, and Chuck Matthei. Woodland CLT is established in East Tennessee, an effort led by Marie Cirillo. 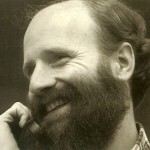 Chuck Matthei is invited by Bob and Marjorie Swann, known to him through Peacemakers, to join the board of the Institute for Community Economics. 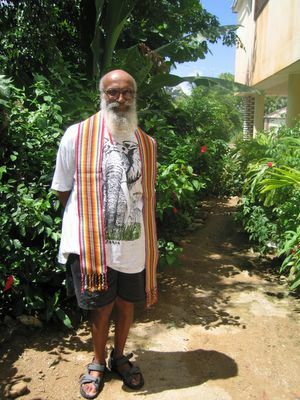 Bob and Marjorie Swann travel to India to meet Vinoba Bhave. 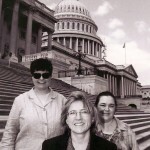 Covenant CLT is established in Orlando, Maine, an effort led by Sr. Lucy Poulin. Fr. 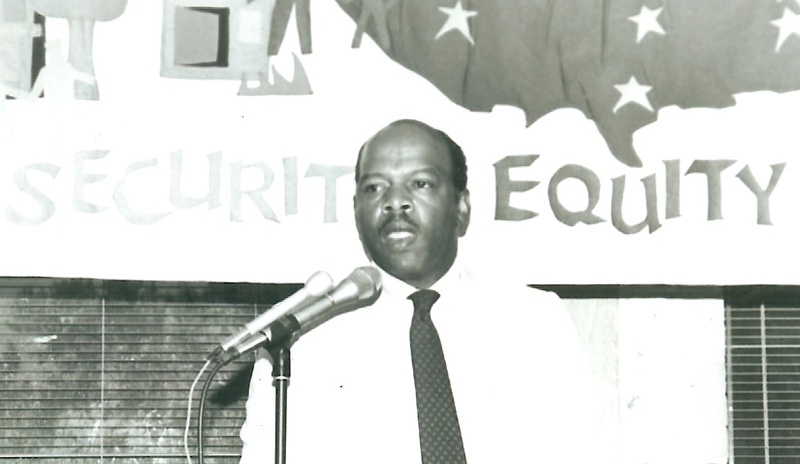 Albert J. McKnight, who had served as the first vice president of New Communities Inc., is appointed to the first board of directors of the National Cooperative Bank by President Jimmy Carter. Bob Swann and Susan Witt leave the Institute for Community Economics, moving to western Massachusetts. Chuck Matthei becomes ICE’s new executive director. 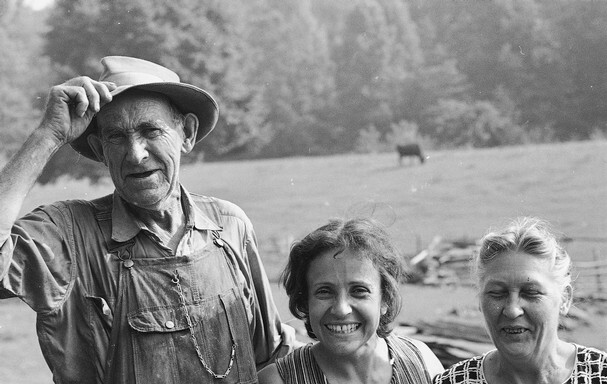 The Community Land Cooperative of Cincinnati is founded by Rev. Maurice McCrackin, Sr. Barbara Wheeler, and other members of the West End Alliance of Churches and Ministries, becoming the first urban CLT in the United States. 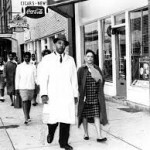 The Historic District Development Corporation is co-founded in Atlanta by Coretta Scott King, Christine King Farris and John Cox to preserve and revitalize “Sweet Auburn,” the inner-city neighborhood included in the Martin Luther King Jr. National Historic District. Mtamanika Youngblood is named as the organization’s first executive director. Bob Swann and Susan Witt establish the Community Land Trust in the Southern Berkshires and the E. F. Schumacher Society, offering assistance to rural communities in creating CLTs. The Institute for Community Economics moves to Greenfield, Massachusetts, purchasing two buildings to accommodate ICE’s offices and to house ICE’s staff. By year’s end, Chuck Matthei has been joined in Greenfield by Sr. Louise Foise, Lisa Berger, Ian Keith, and John Emmeus Davis. John Lewis is elected to the Atlanta City Council. The Southside Community Land Trust is organized in Providence, Rhode Island, the first CLT to focus on urban agriculture. 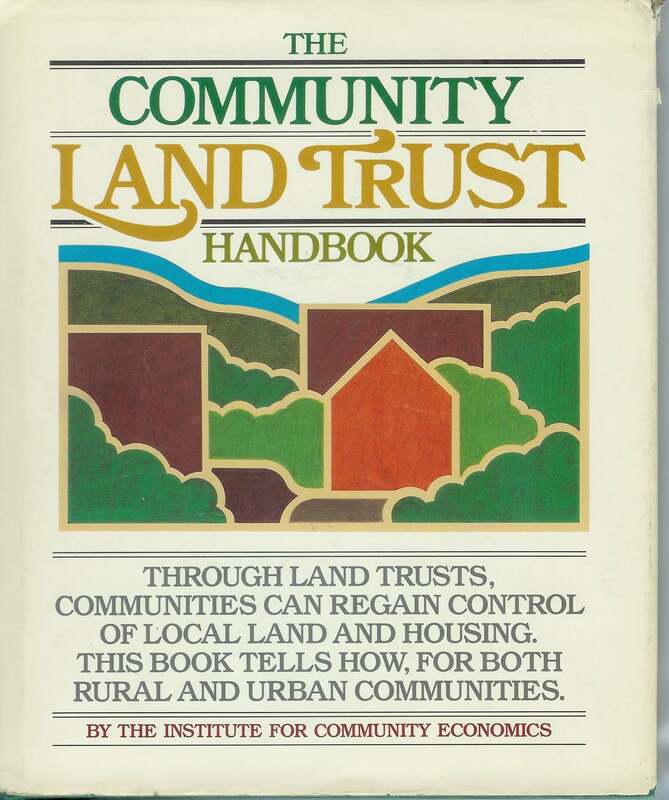 The Community Land Trust Handbook is published by Rodale Press under the authorship of the Institute for Community Economics. Fr. 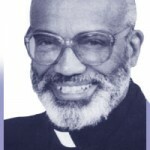 Albert J. McKnight becomes Pastor of the Holy Ghost Catholic Church in Opelousas, Louisiana, one of the largest African American parishes in the USA, remaining there until 1988. The first issue of Community Economics is produced and distributed by ICE. 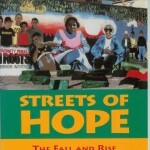 Publication of this journal, edited by Kirby White, continues until 1996. 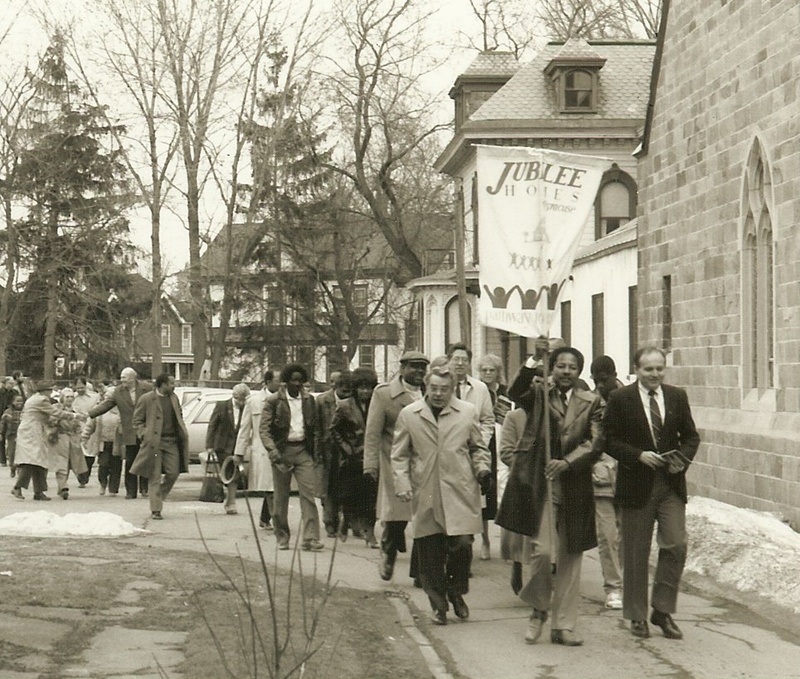 A gathering of CLT organizers from the United States and Canada is convened by ICE at the old CNVA headquarters in Voluntown, Connecticut. 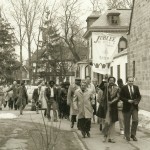 The first CLTs brought into being with the direct support of a municipal government, the Burlington CLT and Time of Jubilee, are incorporated in Burlington, Vermont and Syracuse, New York. Kirby and Nola White join ICE’s staff. Tom McLean joins ICE’s staff. 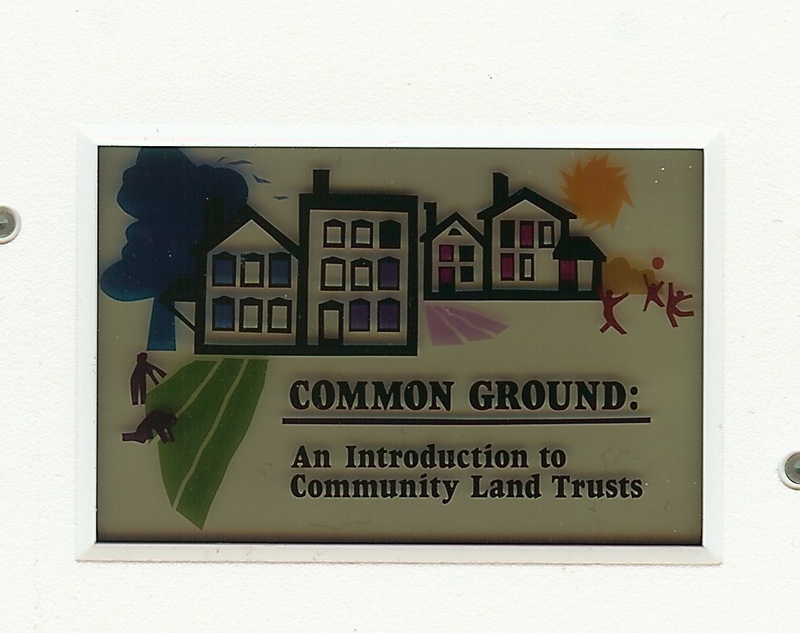 Common Ground, a slide show about CLTs featuring the Community Land Cooperative of Cincinnati, is produced and distributed by the Institute for Community Economics. ICE convenes a national conference on community loan funds, attended by representatives of 35 nonprofit lenders. Out of this conference emerges the National Association of Community Development Loan Funds, which is chaired by Chuck Matthei for its first five years. 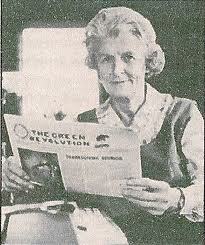 Mildred Loomis steps down from the editorship of Green Revolution. Chuck Collins and Greg Ramm join ICE’s staff. Mike Brown and Patsy Murphy join ICE’s staff. The Burlington Community Land Trust closes on its second house, purchased by Rick and Joann Beauchemin. The attorney who handles the closing is David Watts, the son of Fay Bennett, who had served on the executive committee of New Communities Inc. 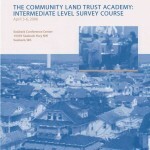 The first National Community Land Trust Conference is held in Atlanta, co-hosted by ICE and the South Atlanta Land Trust. US Representative John Lewis is the conference’s keynote speaker. 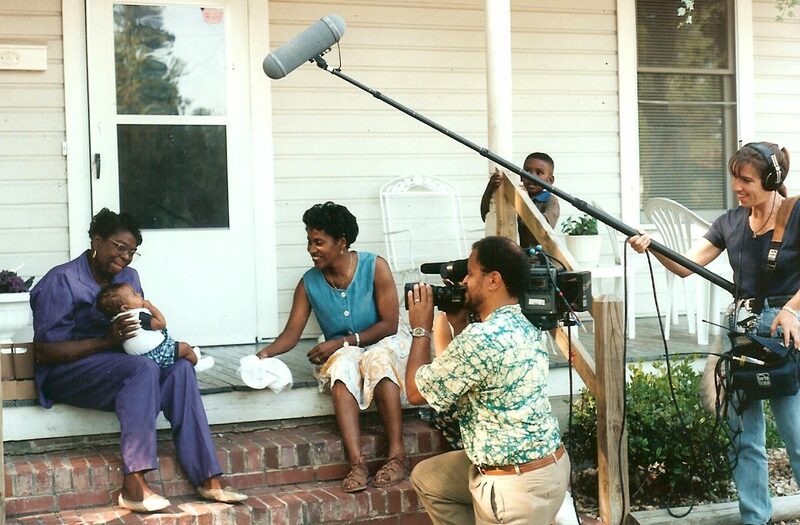 Durham Community Land Trustees is established in Durham, North Carolina. The Central Vermont CLT and the Brattleboro CLT are founded in Vermont.The Albany CLT is founded in New York. The Vermont Housing and Conservation Trust Fund Act passes the state legislature, establishing the Vermont Housing and Conservation Board and setting a priority for permanent affordability in housing assisted by VHCB. Washington State Housing Trust Fund is created. 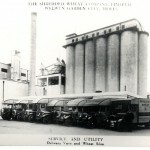 Dudley Neighbors Inc. is incorporated in Boston as a corporate subsidiary of the Dudley Street Neighborhood Initiative. 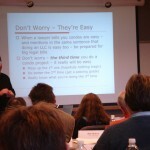 National CLT Conference is held in Stony Point, New York. 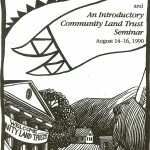 The first CLTs are established in Washington state: the Lopez CLT and OPAL (Of People and Land). 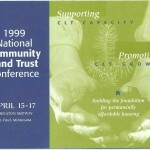 The first CLT is established in New Hampshire: the Concord Area Trust for Affordable Housing (CATCH). 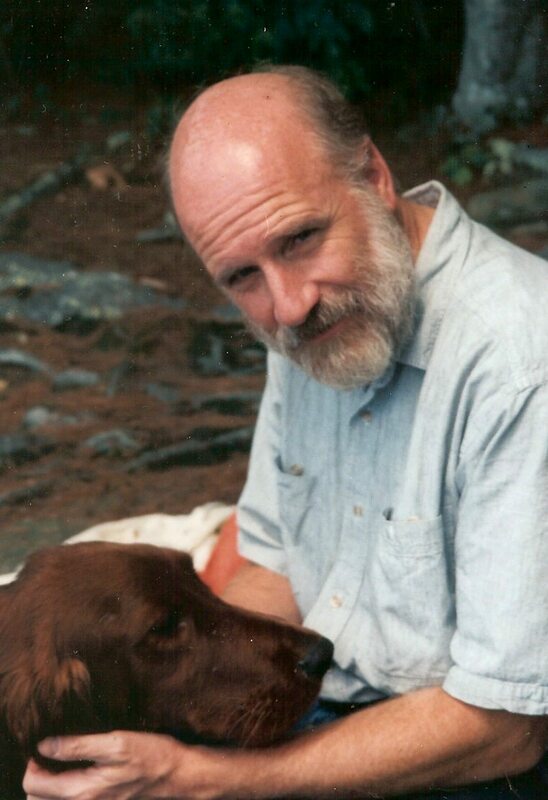 Chuck Matthei leaves the Institute for Community Economics. Greg Ramm becomes ICE’s new executive director. Charles Sherrod relinquishes his seat on the Albany City Commission, having served in this elected office for 14 years. Formation of urban CLTs in Durham, North Carolina; Youngstown, Ohio; Schenectady, New York; Worcester, Massachusetts; Duluth, Minnesota; and Washington, DC. National CLT Conference is held in Burlington, Vermont. National Affordable Housing Act of 1990 enacted into law, creating the HOME program and defining Community Housing Development Organizations. Jackson Hole Community Housing Trust is founded in Jackson, Wyoming. Home Inc. is established in Arthur Morgan’s adopted community of Yellow Springs, Ohio. 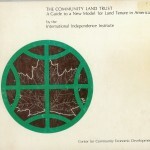 Publication of The Community Land Trust Legal Manual, authored by a team of twelve writers brought together under the auspices of the Institute for Community Economics. Sol Levin founds the Madison Area CLT in Madison, Wisconsin. 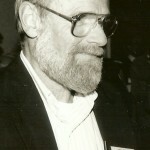 Chuck Matthei founds Equity Trust, Inc. in Voluntown, Connecticut. The Cooper Square Mutual Housing Association is organized to manage 303 apartments and 23 commercial units in 19 buildings in lower Manhattan. The underlying land is conveyed to the newly formed Cooper Square Community Land Trust. 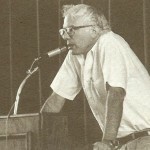 A federal definition of “community land trusts” is introduced by US Representative Bernie Sanders, passed by Congress, and signed into law as part of the 1992 amendments to the National Affordable Housing Act. The Homestead CLT is founded in Seattle, Washington. The Laconia Area CLT is founded in Laconia, New Hampshire. National CLT Conference is held in Cincinnati, Ohio. The Sawmill CLT is incorporated in Albuquerque, New Mexico. 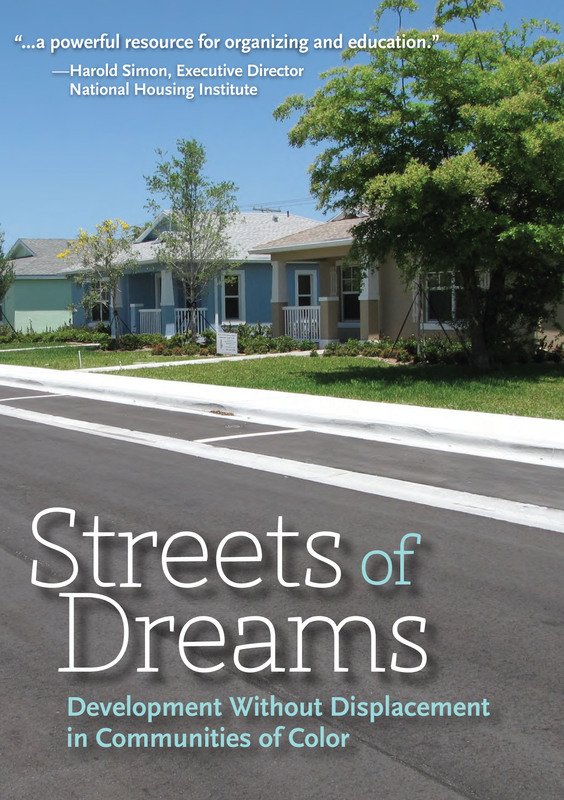 Publication of Streets of Hope by Peter Medoff and Holly Sklar, describing creation of the Dudley Street Neighborhood Initiative and its community land trust subsidiary, Dudley Neighbors Inc.
HUD awards ICE the first of several major grants to provide technical assistance to CLTs. The Athens Land Trust is founded in Athens, Georgia, combining goals of land conservation, affordable housing, and neighborhood revitalization. The number of community land trusts in the United States reaches 100. 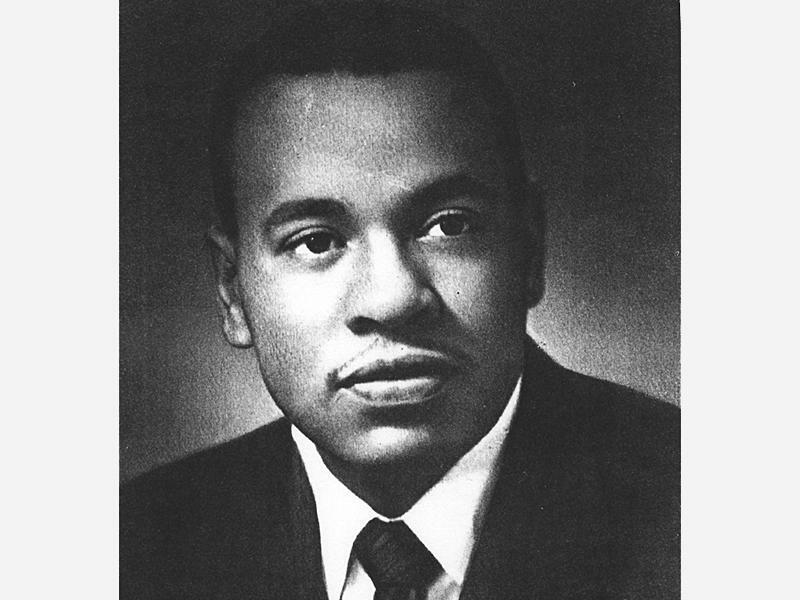 Charles Sherrod runs unsuccessfully for the Georgia State Senate, his last attempt at political office. National CLT conference is held in Washington, DC. 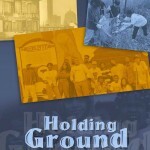 Release of Holding Ground: the Rebirth of Dudley Street, an award-winning video about the Dudley Street Neighborhood Initiative, produced by Mark Lipman and Leah Mahan. The State College Community Land Trust is founded in State College, Pennsylvania. The Sawmill Community Land Trust is founded in Albuquerque, New Mexico. Timothy Pigford, joined by 400 other African American farmers, files a federal lawsuit against Dan Glickman, the US Secretary of Agriculture. 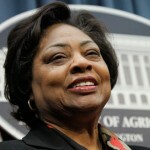 The plaintiffs allege that the USDA treated black farmers unfairly when deciding to allocate price support loans, disaster payments, “farm ownership” loans, and operating loans. National CLT conference is held in Durham, North Carolina. Gregg Ramm leaves ICE. Sarah Page is hired as ICE’s new executive director. 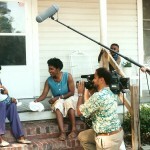 Release of Homes & Hands: CLTs in Action, a video produced by Deborah Chasnoff and Helen Cohen. This full-length color video features CLTs in Durham, North Carolina, Albuquerque New Mexico, and Burlington Vermont. 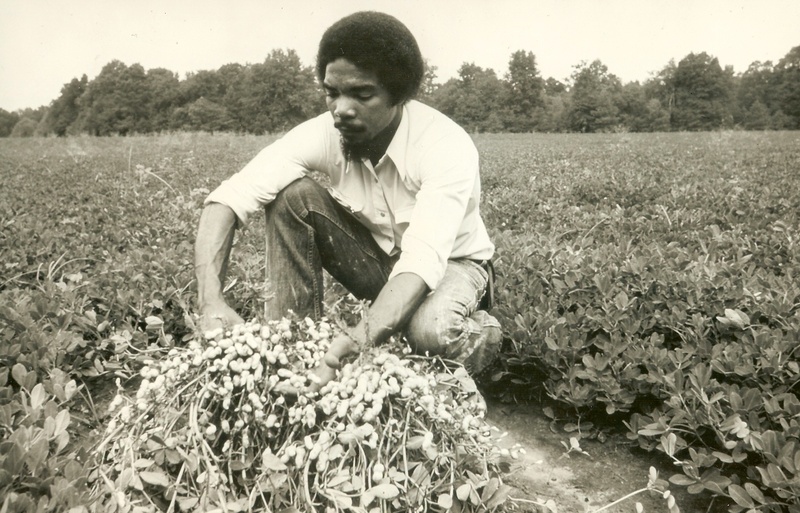 Black farmers win a $375 million settlement from the US Department of Agriculture, resolving a class-action suit that had charged USDA with racial bias (Pigford v. Glickman). New Communities Inc. files its own Pigford claim against USDA on October 13th, alleging that discriminatory lending by the Georgia office of the Famers Home Administration contributed to the failure of NCI’s agricultural business and the loss of its land. National CLT Conference is held in St Paul, Minnesota. Formation of the Northwest CLT Coalition, the first regional network of CLTs. 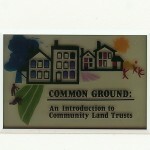 The Portland Community Land Trust is founded in Portland, Oregon, changing its name ten years later to Proud Ground. National CLT Conference is held in Albuquerque, New Mexico. The Minnesota Community Land Trust Coalition is formed. Fannie Mae releases a model rider for use with the CLT ground lease. Fannie Mae also publishes Guidelines on the Valuation of a Property Subject to a Leasehold Interest and/or Community Land Trust. Founding of the Community Land Association of Marin (CLAM) in Point Reyes, California. Founding of the Cuyahoga Community Land Trust in Cleveland, Ohio (which later merges with Neighborhood Housing Services of Greater Cleveland). 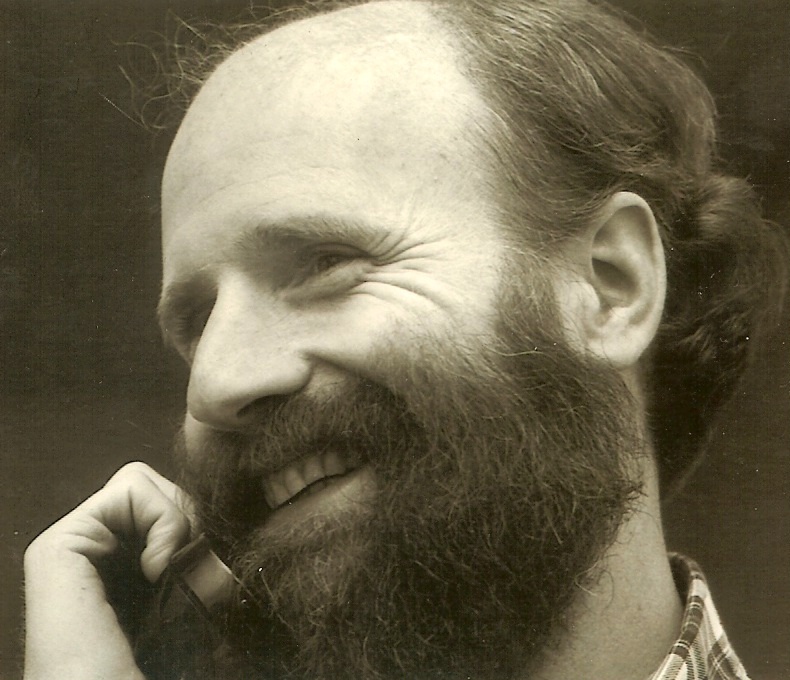 Death of Sol Levin, founder of the Madison Area CLT, on February 22nd at the age of 70. National policy conference is convened by the Institute for Community Economics near Washington, DC, followed by meetings with members of Congress urging greater funding for CLTs. Death of Chuck Matthei on October 1st at the age of 54. 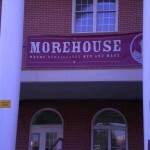 Groundbreaking and dedication is held in November for the C.B. King Federal Courthouse in Albany Georgia. 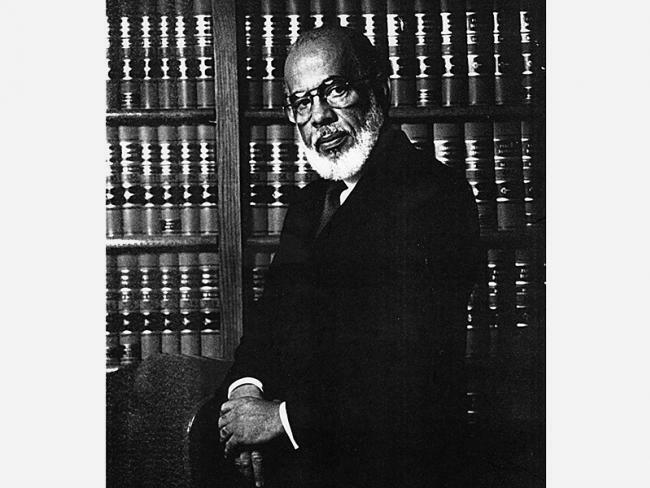 It is the first federal courthouse to be designed by an African American architect, Joseph W. Robinson. 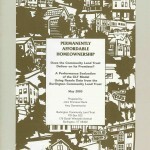 Publication by ICE of the second edition of the Community Land Trust Legal Manual. Incorporation of the City of Lakes CLT in Minneapolis, Minnesota and the Housing Land Trust of Sonoma County in Petaluma, California. The City of Lakes Community Land Trust is founded in Minneapolis, Minnesota. 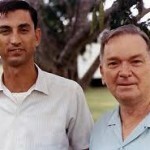 Death of Bob Swann on January 13th at the age of 84. 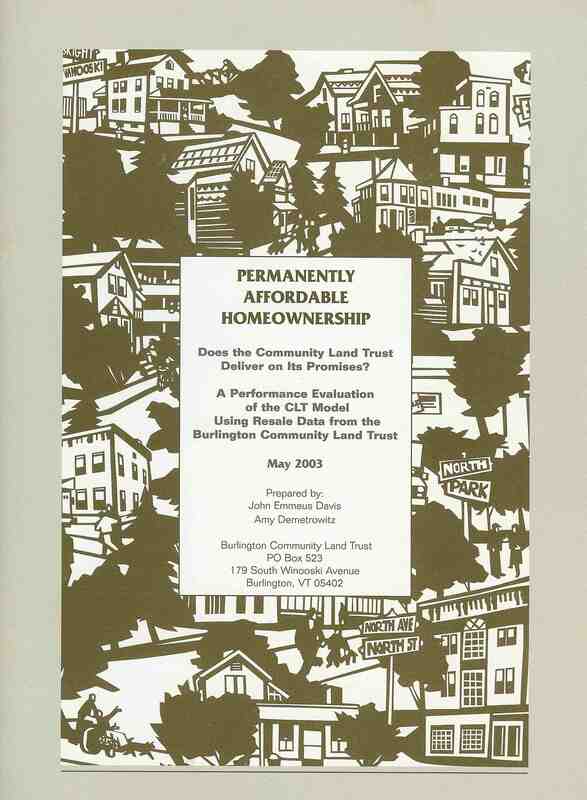 Publication by the Burlington Community Land Trust of Permanently Affordable Homeownership: Does the Community Land Trust Deliver on Its Promises? Authored by John Emmeus Davis and Amy Demetrowitz, this study represents the first data-based evaluation of a CLT’s performance. National CLT Conference is held in Syracuse, New York. The Urban Land Conservancy is founded in Denver, Colorado to hold land and preserve affordability for sites impacted by transit-oriented development. The San Francisco CLT is incorporated. The Puerto Rico legislature conveys 200 acres of publicly owned land in San Juan to the Cano Martin Pena Community Land Trust. University of Fondwa is founded in Haiti. Rev. Albert McKnight moves to Haiti to serve as the university’s chaplain and to teach courses on rural development using cooperatives. 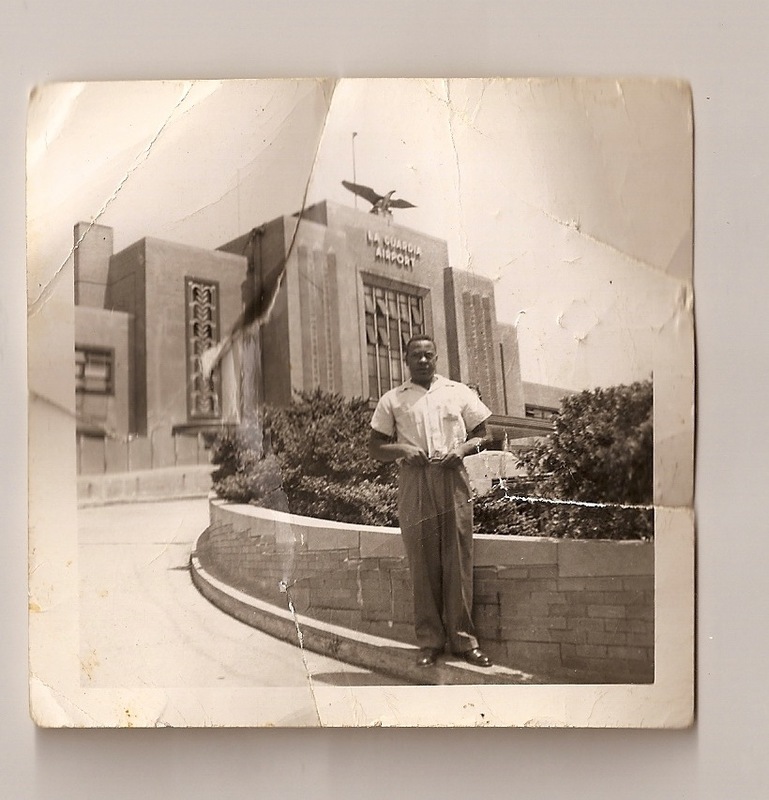 Mtamanika Youngblood writes a memorandum to the Annie E. Casey Foundation recommending creation of a community land trust in Atlanta’s Pittsburgh neighborhood. 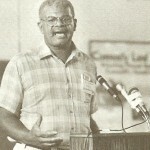 Gus Newport, former mayor of Berkeley and former director of the Dudley Street Neighborhood Initiative, becomes executive director of the Institute for Community Economics. 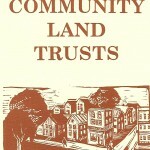 The number of community land trusts in the United States reaches 200. National CLT Conference is held in Portland, Oregon. At the conference, a committee is elected by representatives from 51 CLTs to plan a new national network of CLTs. Incorporation of the Delray Beach CLT in Delray Beach, Florida.Another planning committee, with funding and leadership from the Lincoln Institute of Land Policy, begins working on a framework to improve training and research on CLTs. Founding of the Figueroa Corridor Community Land Trust in Los Angeles, which later changes its name to T.R.U.S.T. South LA. 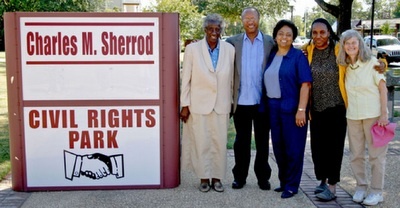 Dedication of the Charles M. Sherrod Civil Rights Park in downtown Albany, Georgia. 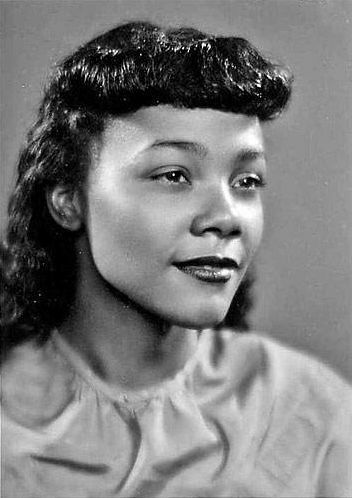 Death of Coretta Scott King on January 30th at the age of 78. Cypress Pond Plantation is put on the market, offered at a sales price of $21 million. The newly formed National CLT Academy holds its first three-day training in April at Seabeck, Washington for CLT practitioners. National CLT Conference is held in July in Boulder, Colorado. Bylaws of the National CLT Network are ratified and officers are elected: Lisa Byers, president; Jim Mischler-Philbin, vice president; Dannie Bolden, secretary; and Devika Goetschius, treasurer. 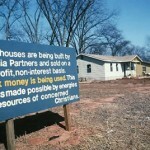 Incorporation of the Diamond State Community Land Trust, the first state-wide CLT. 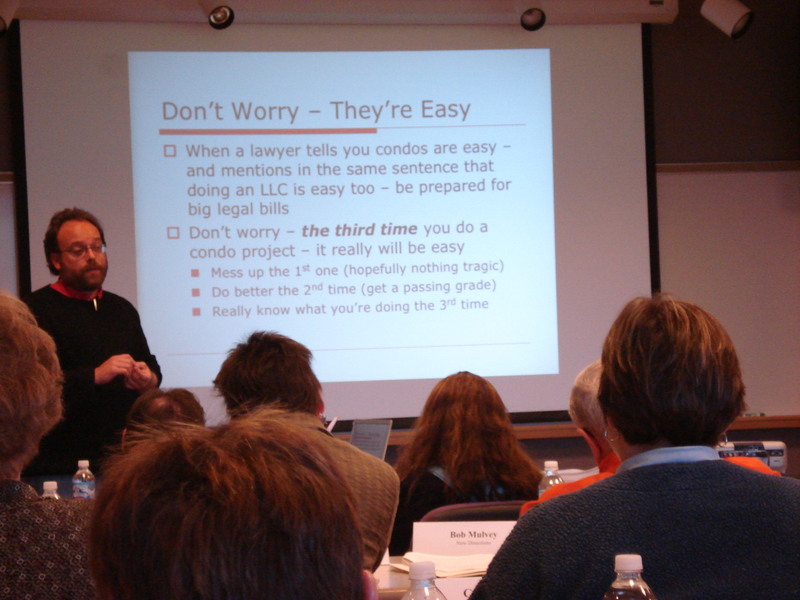 The National CLT Academy holds a three-day intermediate-level training for CLT practitioners, October 22-25, in Chaska, Minnesota. Incorporation of the Chicago CLT at the instigation of City of Chicago. The assets of the Institute for Community Economics are divided three ways with its most important intellectual property, The CLT Legal Manual and Homes & Hands, going to Equity Trust; its archives going to the E.F. Schumacher Society; and its name and revolving loan fund taken over by the National Housing Trust. National CLT Conference is held in Minneapolis, Minnesota. The newly established Swann-Matthei Award is bestowed by the Network on Marie Cirillo and John Emmeus Davis. Planning begins in Atlanta on ways to support the expansion of CLTs as part of the Beltline’s transit-oriented development, a process led by Mtamanika Youngblood (Atlanta Civic Site), Valarie Wilson (Atlanta Beltline Partnership), and Andy Schneggenburger (Association of Neighborhood-based Developers). 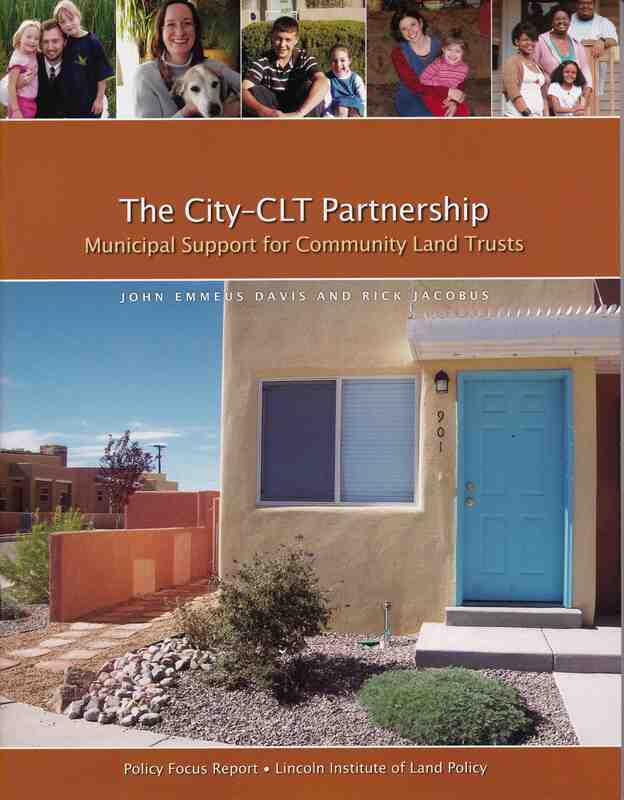 Publication of The City-CLT Partnership: Municipal Support for Community Land Trusts by John Emmeus Davis and Rick Jacobus, a Policy Focus Report commissioned by the Lincoln Institute of Land Policy. The Madison Area CLT’s Troy Gardens project receives first prize for Affordable Housing Built Responsibly from the Home Depot Foundation. National CLT conference is held in Boston, Massachusetts. 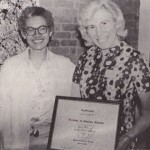 The Network bestows its Swann-Matthei Award upon Ellie Kastanopolous­­­­­­­_and Susan Witt. 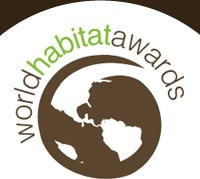 The Champlain Housing Trust wins the World Habitat Award, presented by the Building and Social Housing Foundation in partnership with the United Nations. 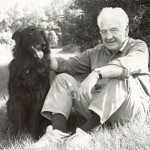 ICE’s loan fund is conveyed to the National Housing Trust, ICE’s intellectual property is conveyed to the Equity Trust; and ICE’s archives are conveyed to the E.F. Schumacher Society. 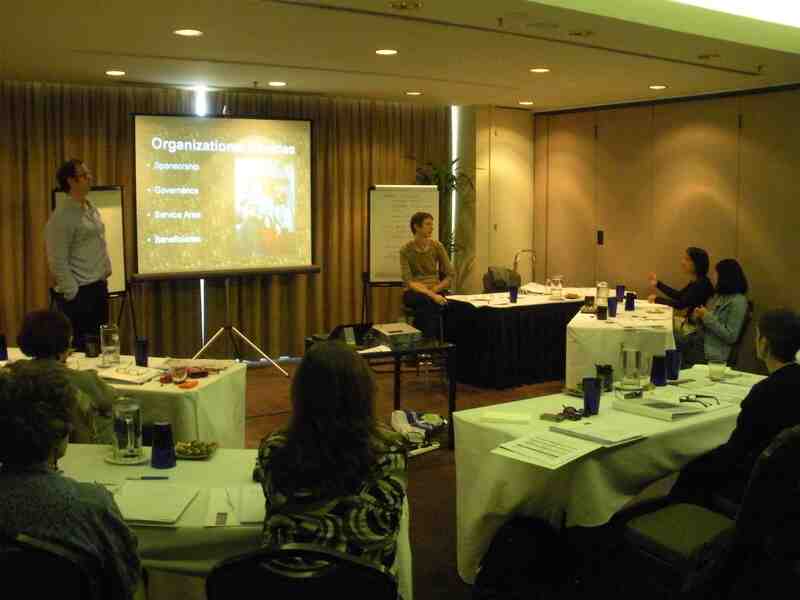 The first CLT training in Australia is held on March 23-24 in Sydney, organized by Louise Crabtree. The National CLT Academy issues a research report, authored by Emily Thaden, documenting significantly lower rates of mortgage default and mortgage foreclosure among CLT homeowners, when compared to defaults and foreclosures among the owners of market-rate homes. 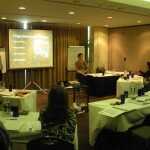 National CLT Academy holds a three-day training, April 29-May 1, in Orlando, Florida. At the urging of the governor of Puerto Rico and the mayor of San Juan, the legislature passes a bill taking back 200 acres of publicly owned land already transferred to the Cano Martin Pena Community Land Trust. After a decade of being rebuffed by USDA, the Sherrods receive a call from NCI’s attorney, Rose Sanders, saying that New Communities Inc. has been awarded a settlement of $12 million. London Citizens helps to organize the first urban CLT in the United Kingdom, the East London Community Land Trust. The Heritage Lands Initiative is created as a chartered committee of the National CLT Network, advocating for the rights of marginalized communities whose lands are threatened with loss. A memorandum of understanding is signed between the National CLT Network and Habitat for Humanity International to foster cross-training, technical support, and collaborative development between their constituencies. National CLT conference is held in Athens, Georgia. 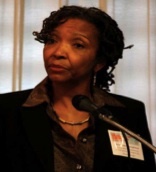 Shirley Sherrod is the plenary speaker. The Network bestows its Swann-Matthei Award upon ­­­­­­­Michael Brown and Kirby White. Incorporation of the Oakland CLT in Oakland, California. The National CLT Network in the United Kingdom is incorporated. The Waratah CLT Association is established in Sydney to promote CLT development in Australia. Shirley Sherrod is forced to resign from her appointed position as Georgia State Director of Rural Development because of video excerpts from a speech she had delivered in March that were selectively edited and posted on the internet by a right-wing blogger. 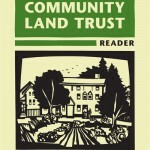 Publication of The Community Land Trust Reader, edited by John Emmeus Davis. National CLT conference is held in Albuquerque, New Mexico. The Network bestows its Swann-Matthei Award upon David Abromowitz and Charles & Shirley Sherrod. The Cornerstone Partnership is launched to raise the national profile of shared equity homeownership. 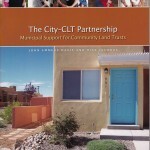 The National CLT Network is one of the Partnership’s founding members. 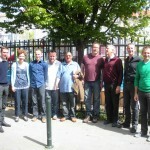 A series of meetings by housing associations and neighborhood committees results in creation of the first CLT in Belgium: the Brussels Community Land Trust. Cypress Pond Plantation is bought by New Communities Inc. on June 29th for $4.5 million. 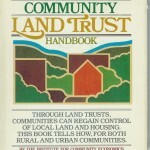 Publication of the third edition of the Community Land Trust Legal Manual. This updated and expanded edition, produced under the auspices of the National CLT Academy, is given a new title of The CLT Technical Manual. National CLT Conference is held in Seattle, Washington. The Network bestows its Swann-Matthei Award upon Mtamanika Youngblood. The Community Justice Land Trust is created as a subsidiary of the Women’s Community Revitalization Project, the only women-led community development organization in Philadelphia, founded in 1987. The CLT Research Collaborative, creating a web-based library of publications about CLTs and a virtual community of researchers, is launched by the National CLT Academy. 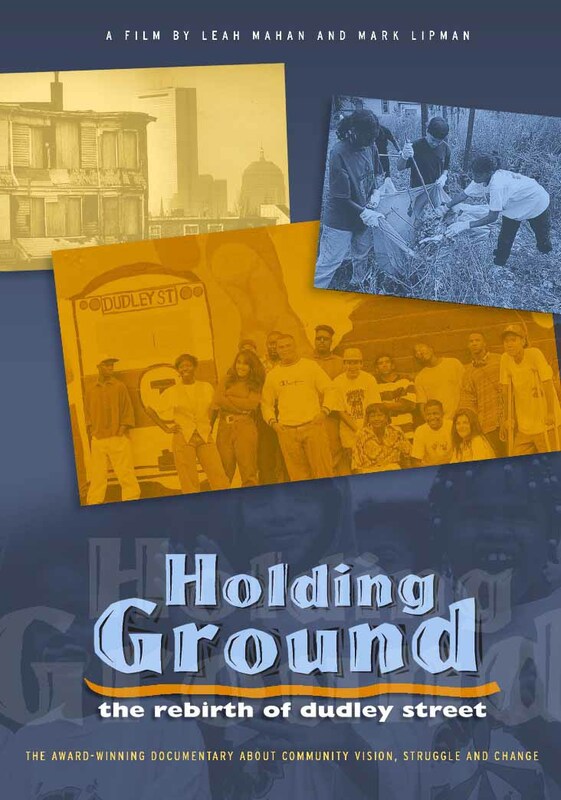 Release of Gaining Ground, a sequel to the 1996 video about DSNI (Holding Ground), produced by Mark Lipman and Leah Mahan. 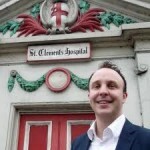 The Mayor of London, Boris Johnson, announces on May 12th that a derelict site on which St. Clements Hospital was formerly located will be conveyed to the East London Community Land Trust, the first urban CLT in the United Kingdom. The National CLT Network is restructured, splitting the programs of the CLT Academy and the Heritage Lands Initiative between two new departments: Capacity & Community Building and Research & Public Policy. National CLT conference is held in Burlington, Vermont. The Network bestows its Swann-Matthei Award upon US Senator Bernie Sanders. Publication of Beyond Housing: Community Land Trusts and Urban Agriculture and Commercial Development by Greg Rosenberg and Jeffrey Yuen, commissioned by the National CLT Network. 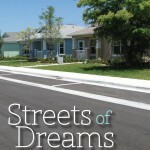 Release of Development Without Displacement in Communities of Color, the first installment of half-a-dozen video portraits of CLTs, produced by Helen Cohen and Mark Lipman under the series title, Streets of Dreams. 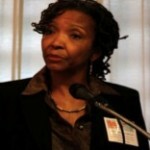 Mtamanika Youngblood becomes the executive director of New Communities Inc. The Puerto Rico legislature reverses itself once again and returns 200 acres of publicly owned land in San Juan to the Cano Martin Pena Community Land Trust. 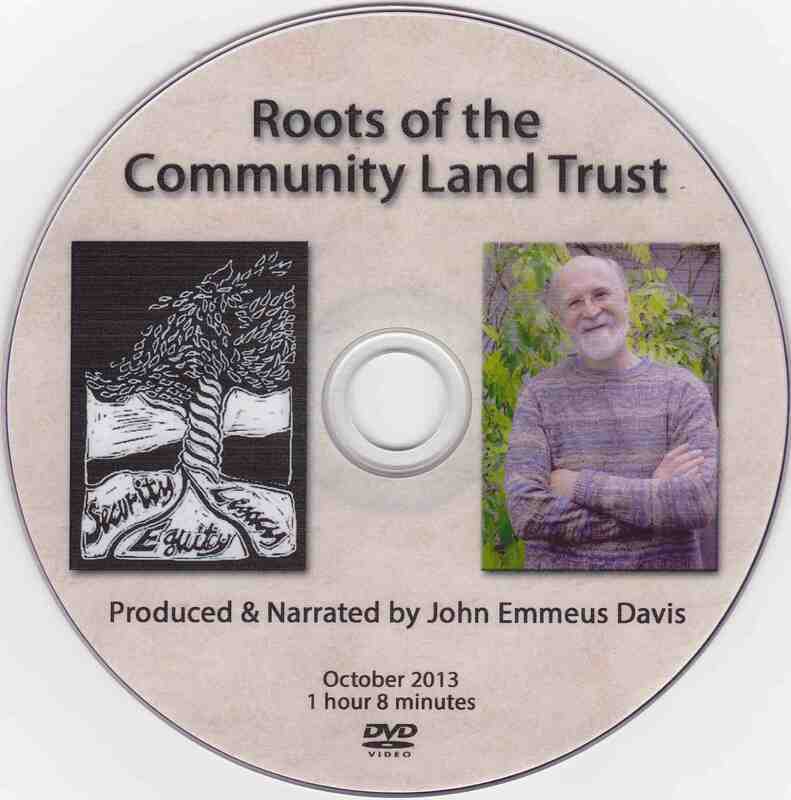 Release of Roots of the Community Land Trust, a taped slide show about the origins and evolution of the CLT, produced and narrated by John Emmeus Davis. 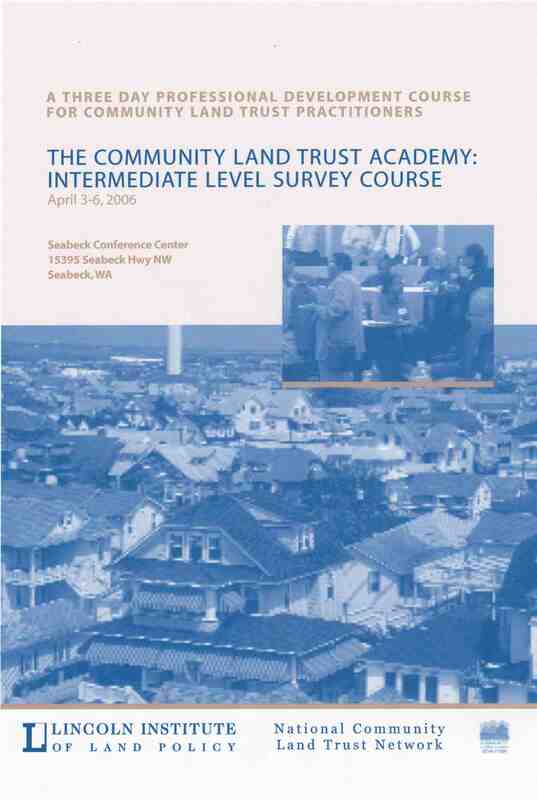 Publication a Working Paper by the Lincoln Institute of Land Policy entitled The Role of Community Land Trusts in Fostering Equitable, Transit-Oriented Development: Case Studies from Atlanta, Denver, and the Twin Cities. 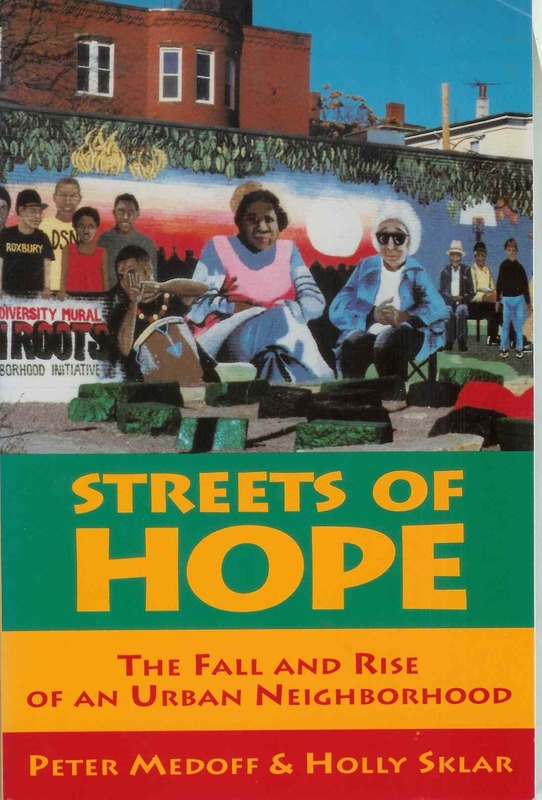 Roots and Branches goes live, an historical website created by John Emmeus Davis and Greg Rosenberg to preserve photographs, documents, and stories about the origins of the CLT model and the growth of the world-wide CLT movement. National CLT Conference is held in Cleveland, Ohio. 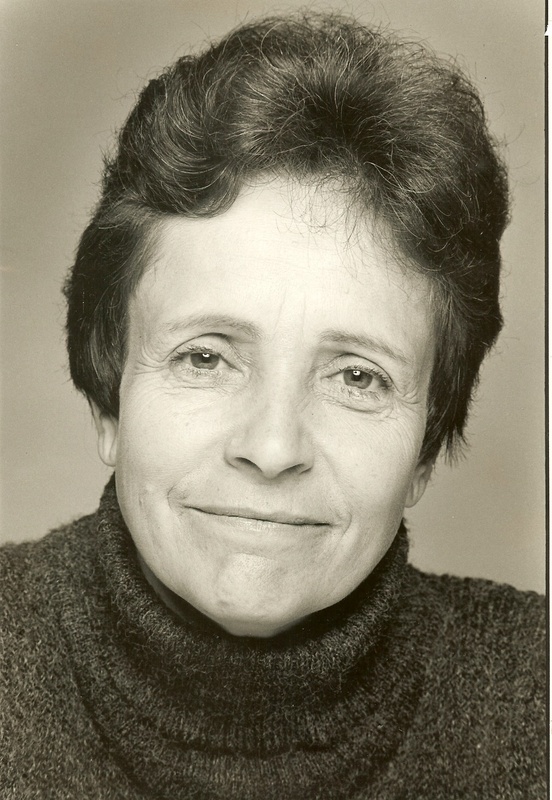 Death on March 14th of Marge Swann at the age of 93, a co-founder of the Committee for Nonviolent Action, co-editor of the first book about CLTs, published in 1972, and an early board member of the Institute for Community Economics. Nancy Stangle, co-founder of the Athens Land Trust, receives the Swann-Matthei Award from the National CLT Network. 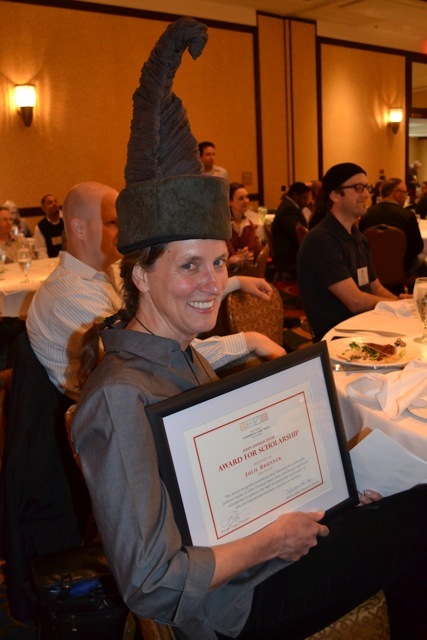 Julie Brunner becomes the first recipient of the John Emmeus Davis Award for teaching, scholarship, and mentorship. Les Editions Ecosociete in Montreal publishes Manuel d’antispéculation immobilière: une introduction aux fiducies foncières communautaires. Edited by John Emmeus Davis and translated by Michel Durand, this collection of essays introduces a French-speaking audience to the CLT. 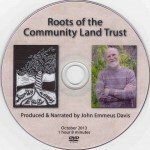 Roots of the CLT, a four-part narrative of the origins and evolution of the community land trust, originally produced and recorded in English by John Emmeus Davis, is translated into Dutch by the Brussels Community Land Trust and posted online. The National CLT Network and the Cornerstone Partnership announce a “Plan of Consolidation,” proposing to merge their programs and staff. First meeting of the Resident Ambassadors, a newly created program of the National CLT Network aimed at involving CLT homeowners and renters more fully in advocacy and education on behalf of permanently affordable housing. National CLT conference held in Lexington KY. Gus Newport receives the Swann-Matthei Award. 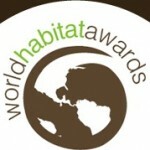 The Cano Martin Pena CLT in San Juan, Puerto Rico receives the UN World Habitat Award from the Building and Social Housing Foundation in England. Intersections conference held in Park City UT, convened by Grounded Solutions. Lisa Byers, executive director of OPAL, and John Barros, former executive director of the Dudley Street Neighborhood Initiative, receive the Swann-Matthei Award. Completion and distribution of a documentary about New Communities Inc. entitled Arc of Justice: The Rise, Fall and Rebirth of a Beloved Community. Habitat for Humanity International introduces CLTs and other forms of permanently affordable housing to its 1500 affiliates in its 2017 Shelter Report, Affordable for Good: Building Inclusive Communities through Homes that Last. Intersections conference held in Oakland CA, convened by Grounded Solutions.